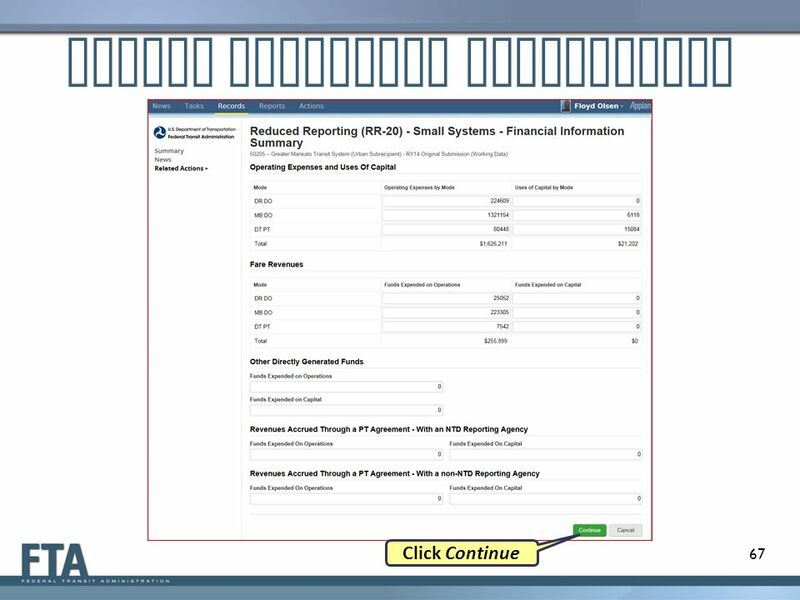 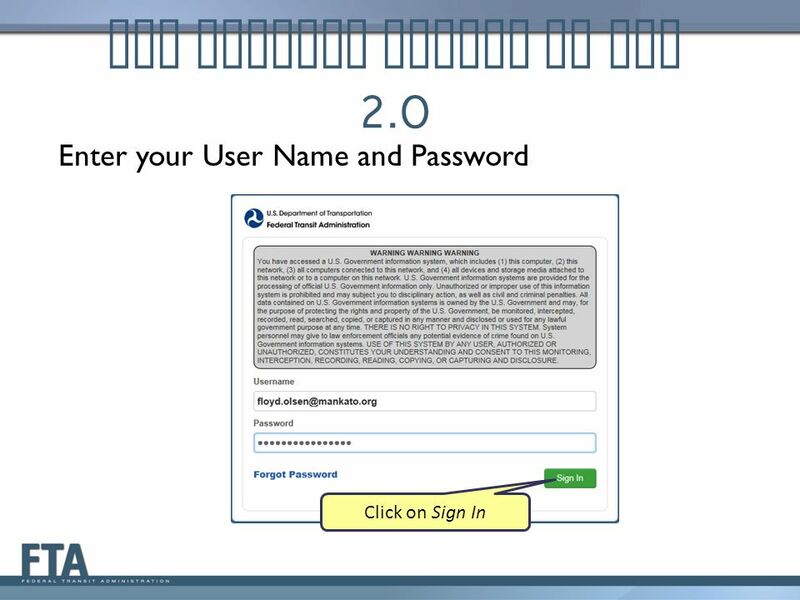 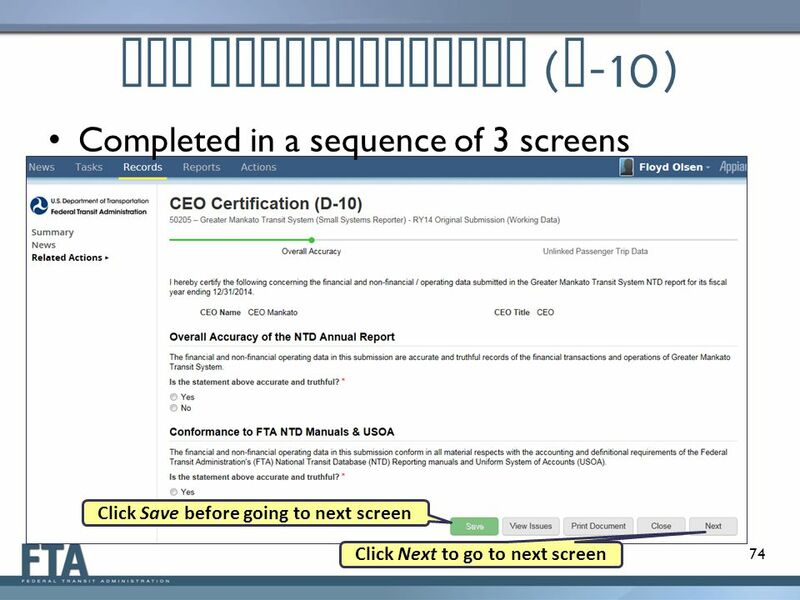 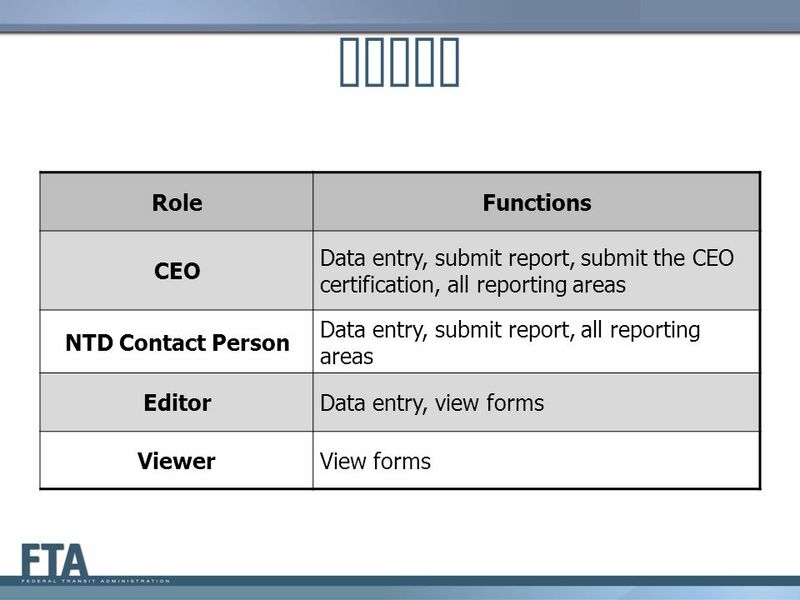 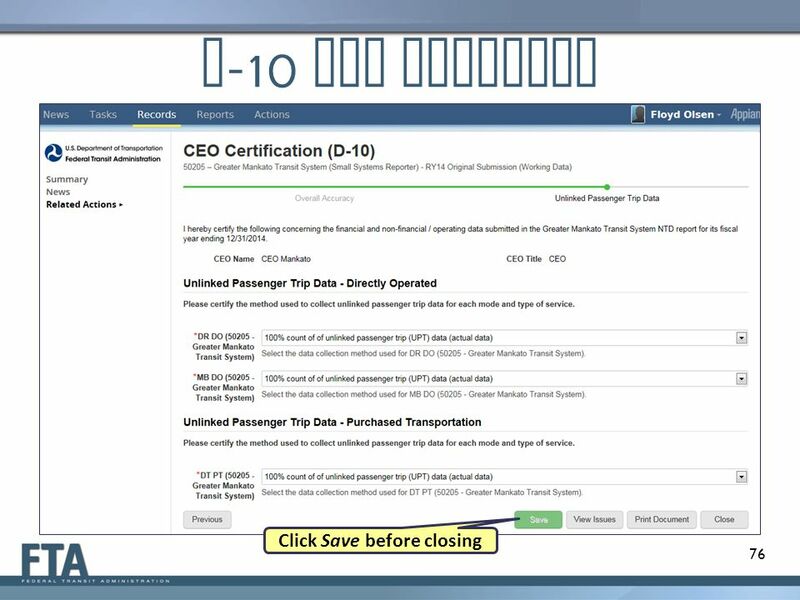 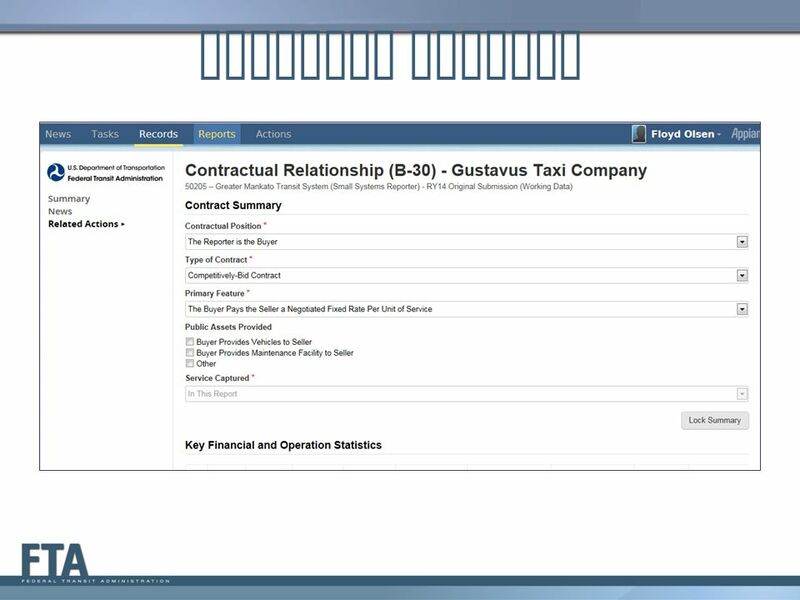 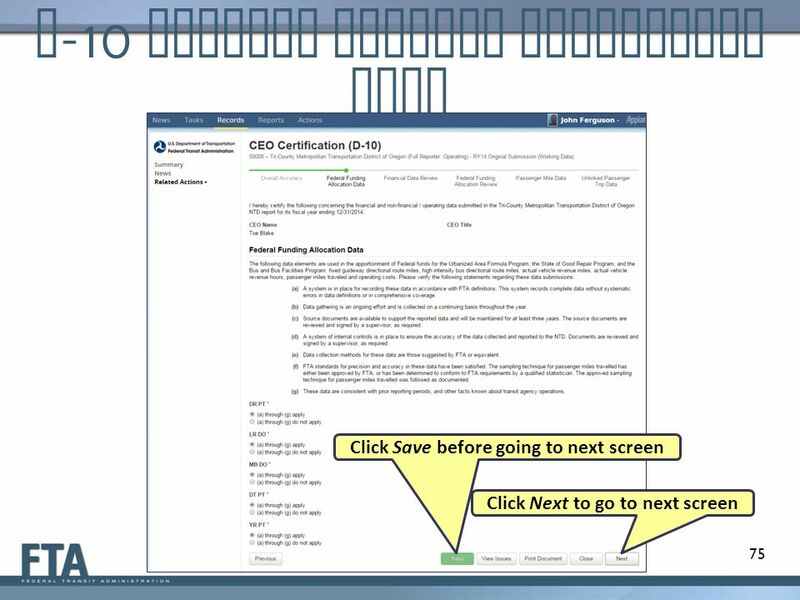 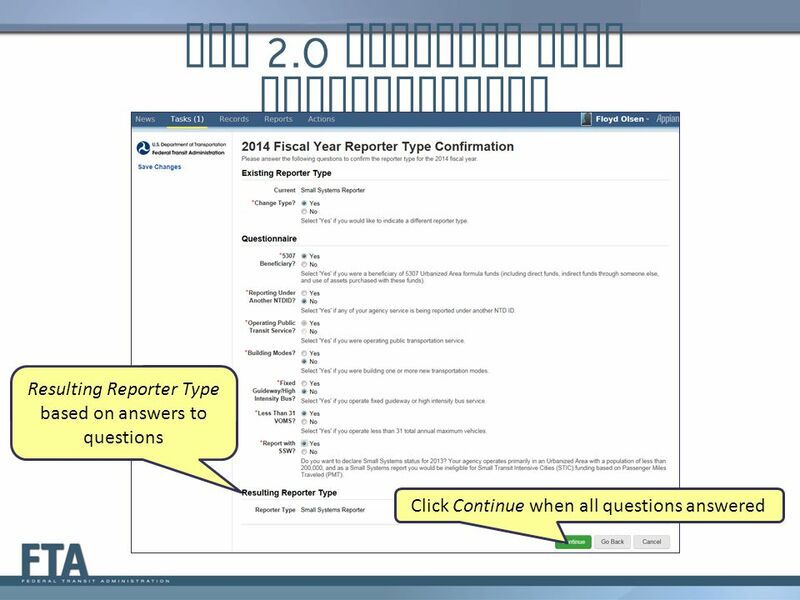 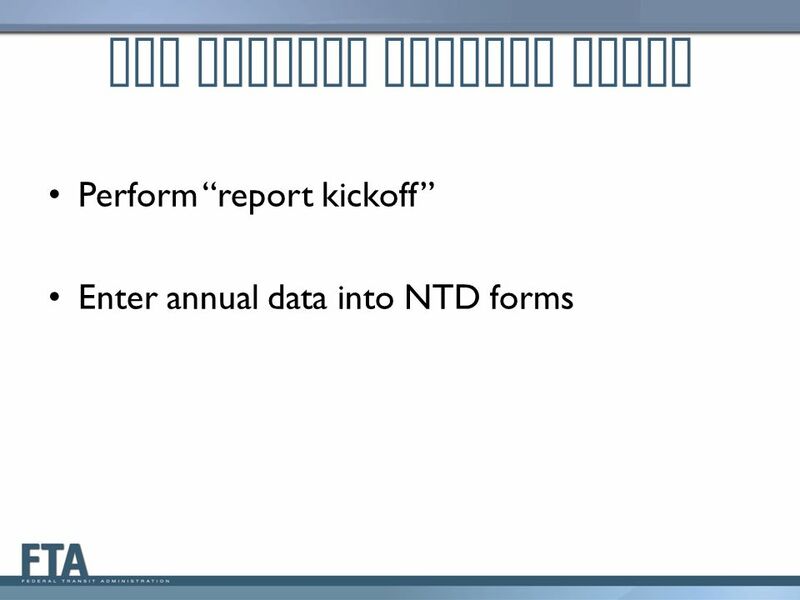 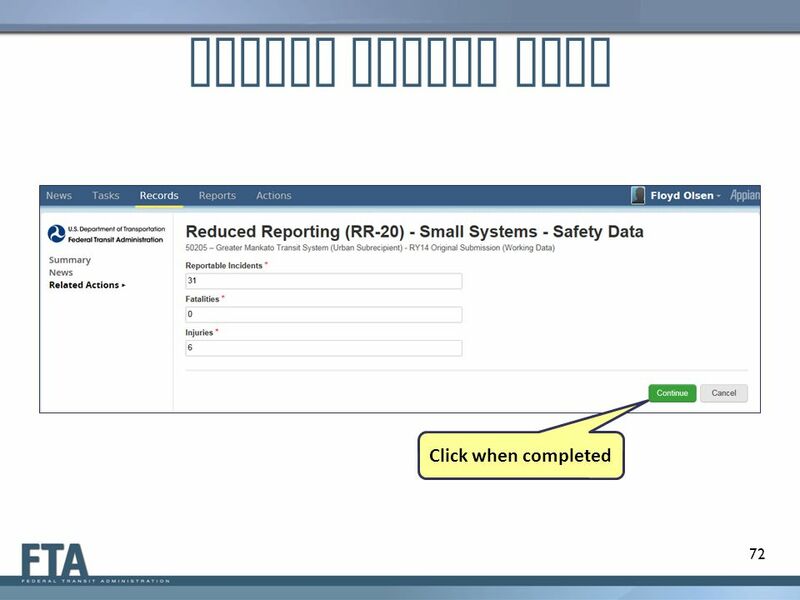 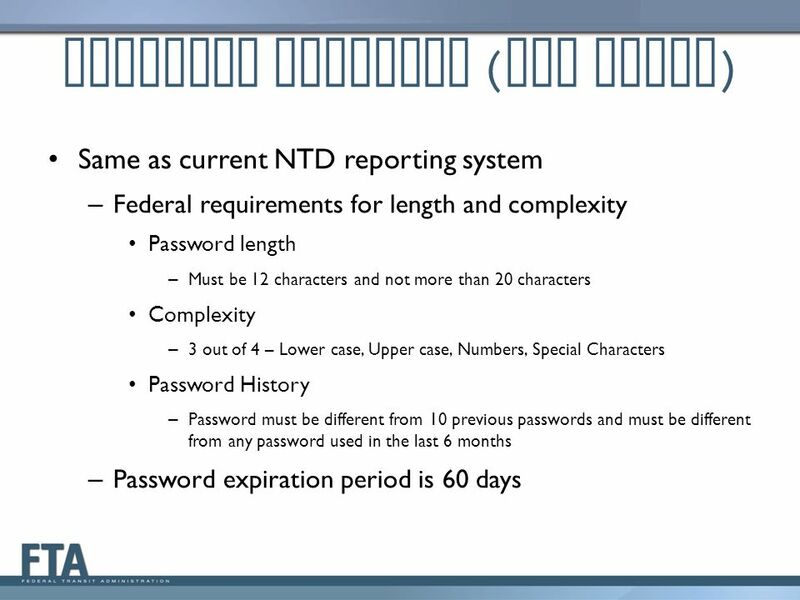 Data entry, submit report, submit the CEO certification, all reporting areas NTD Contact Person Data entry, submit report, all reporting areas Editor Data entry, view forms Viewer View forms **Note: The instructor will review the 4 access levels on this slide, but two additional access levels relate to safety and security. 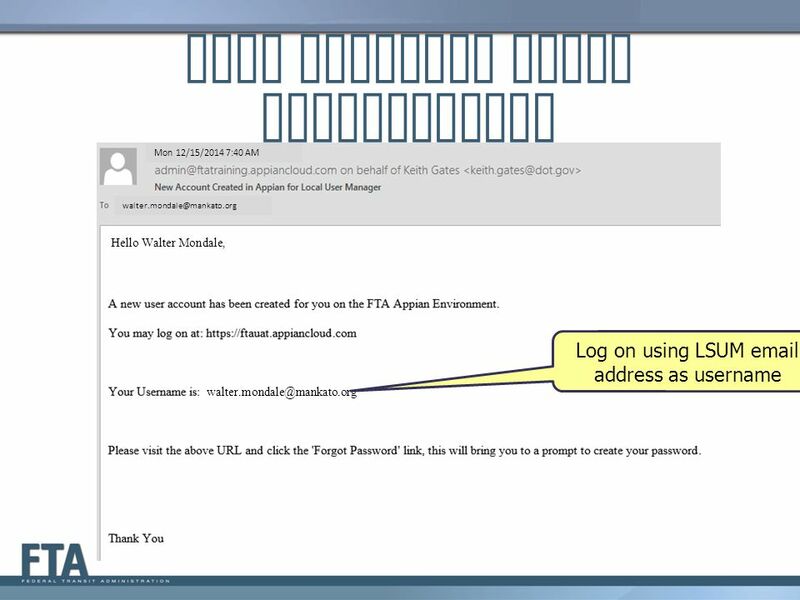 5307 beneficiary? 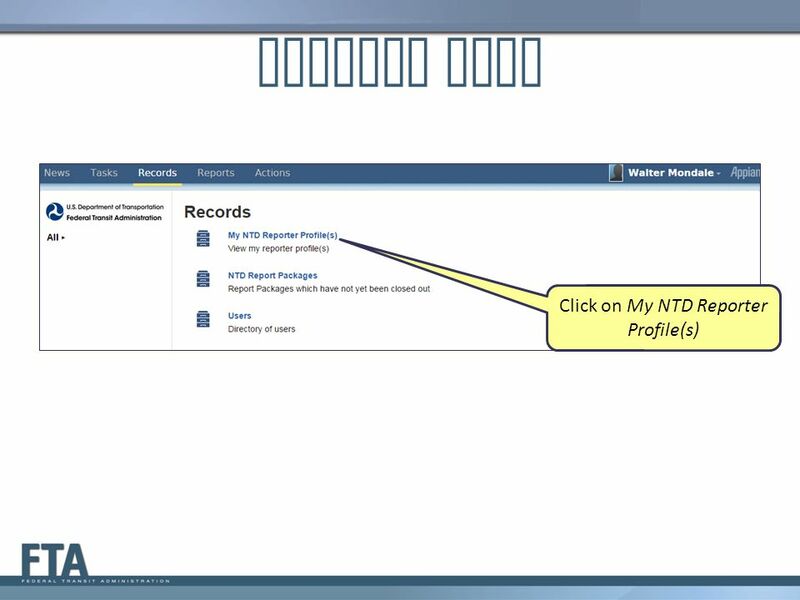 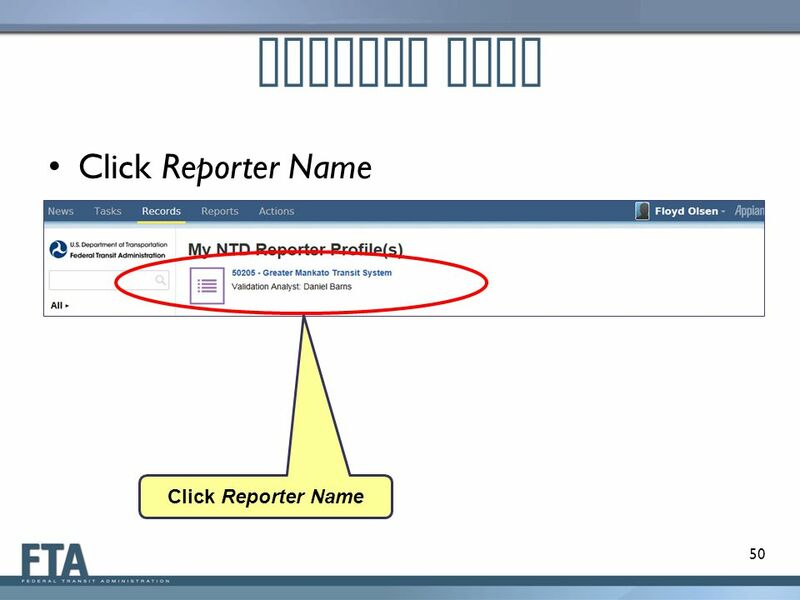 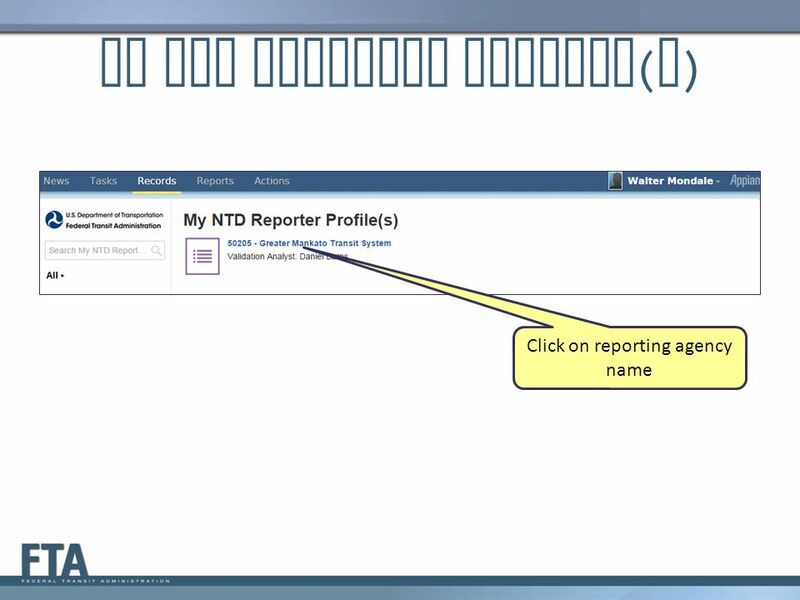 Reporting under another NTD ID? 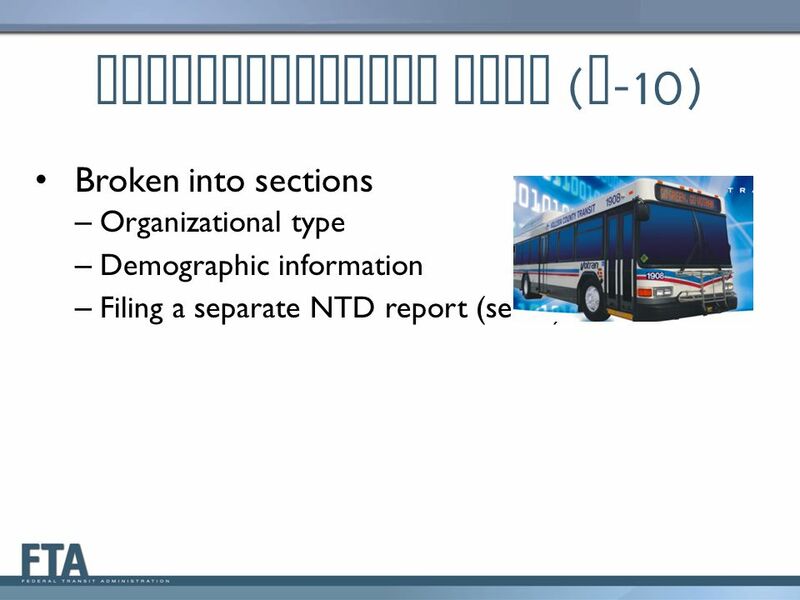 Operating public transit service? 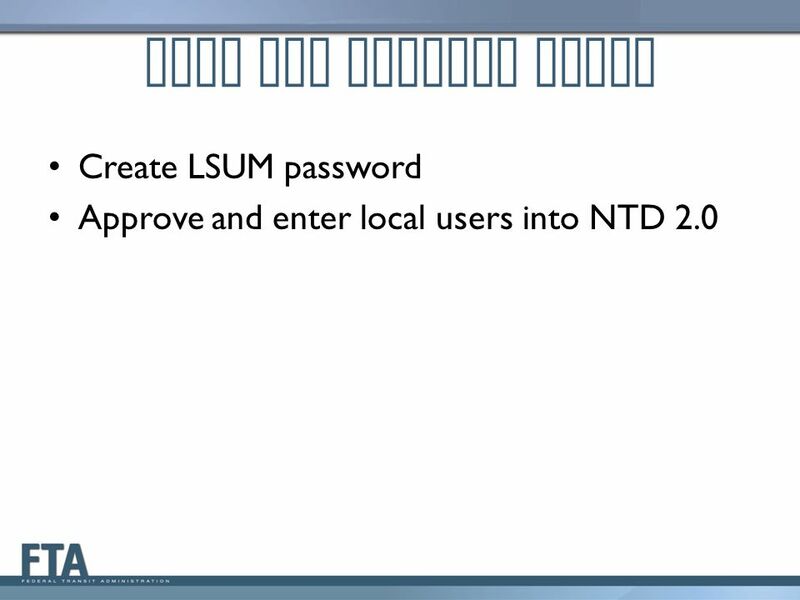 Building new modes? 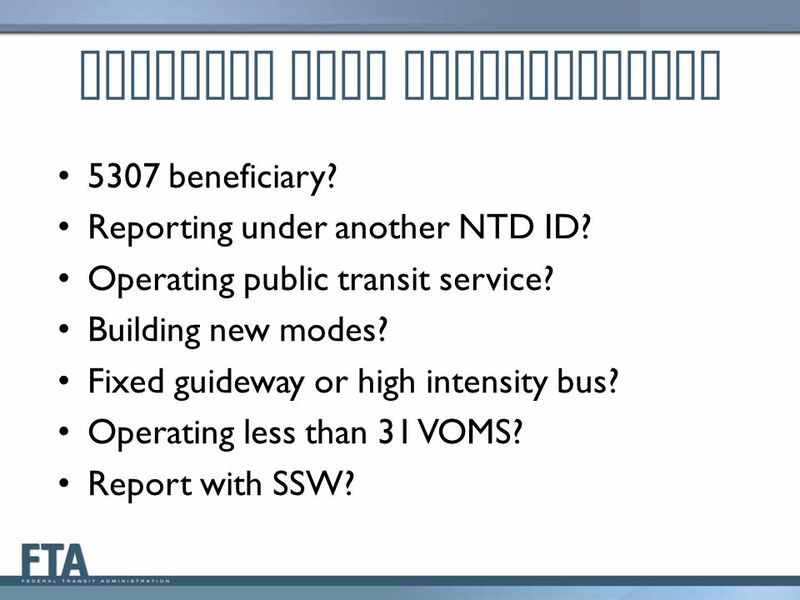 Fixed guideway or high intensity bus? 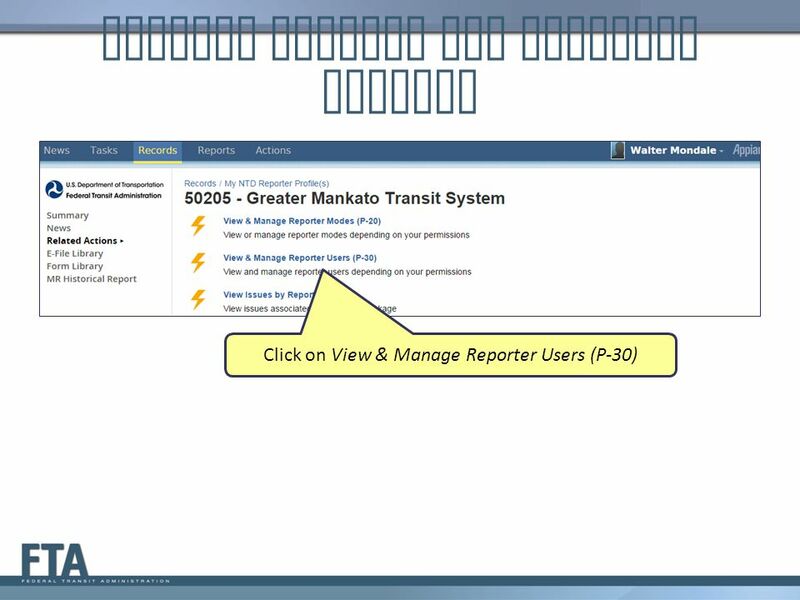 Operating less than 31 VOMS? 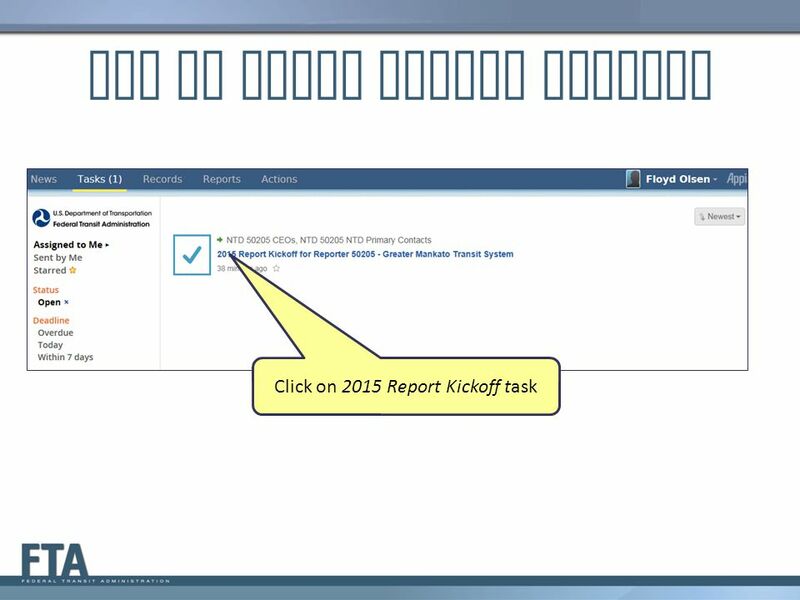 Report with SSW? 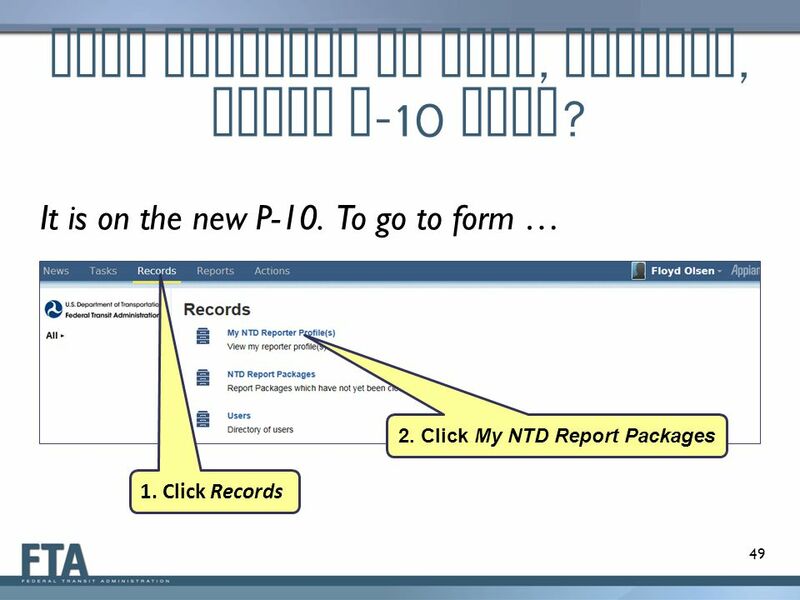 49 What Happened to Name, Address, Other B-10 Data? 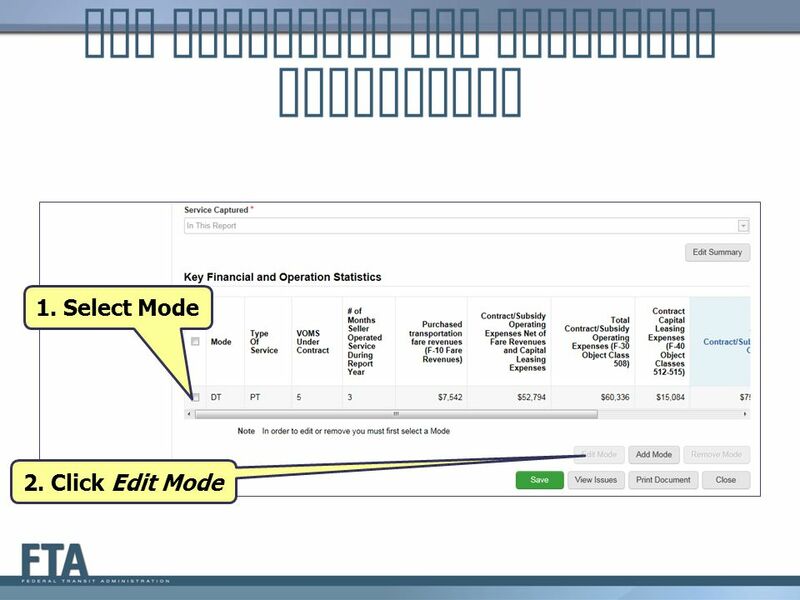 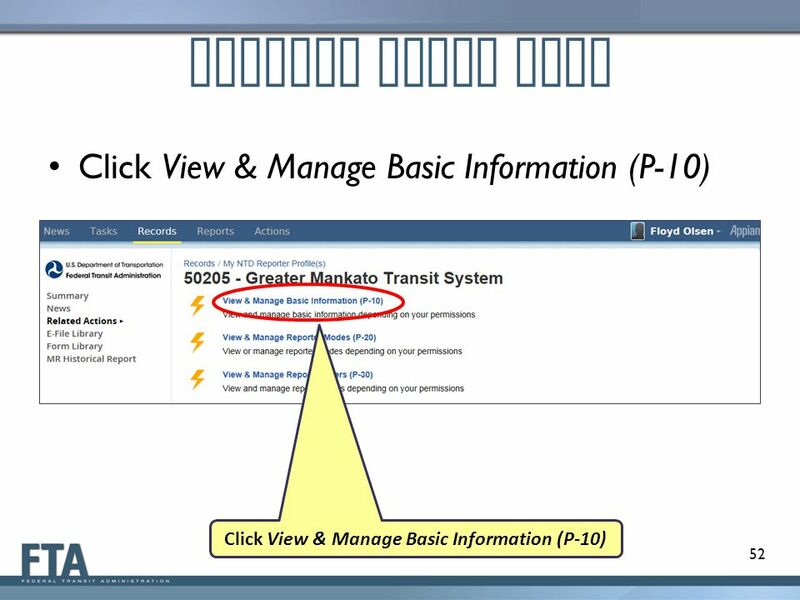 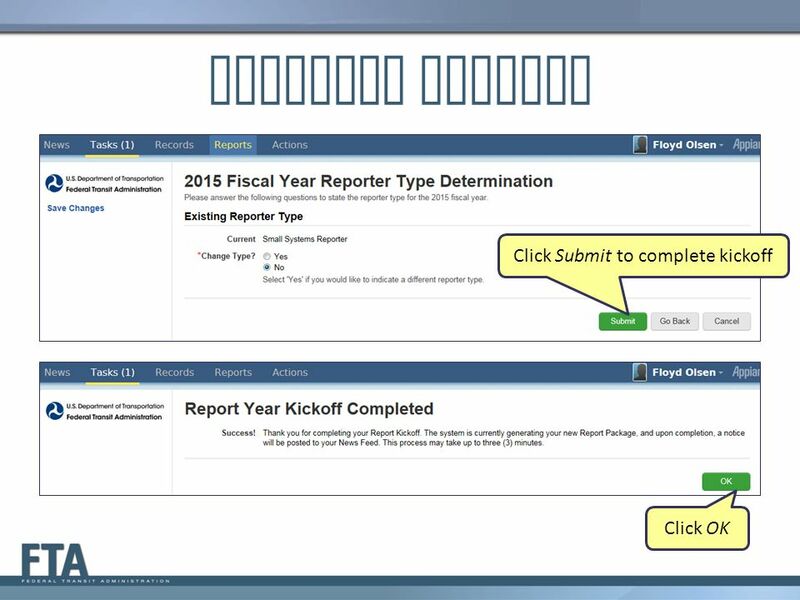 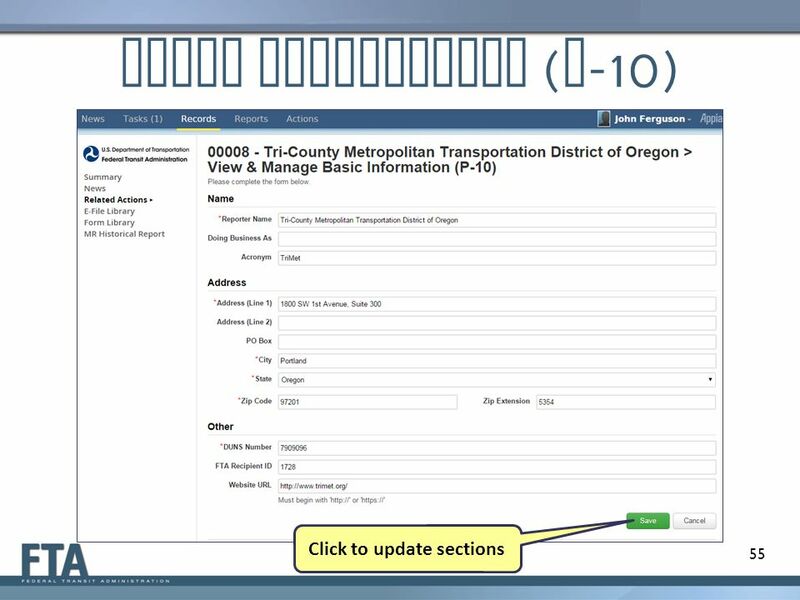 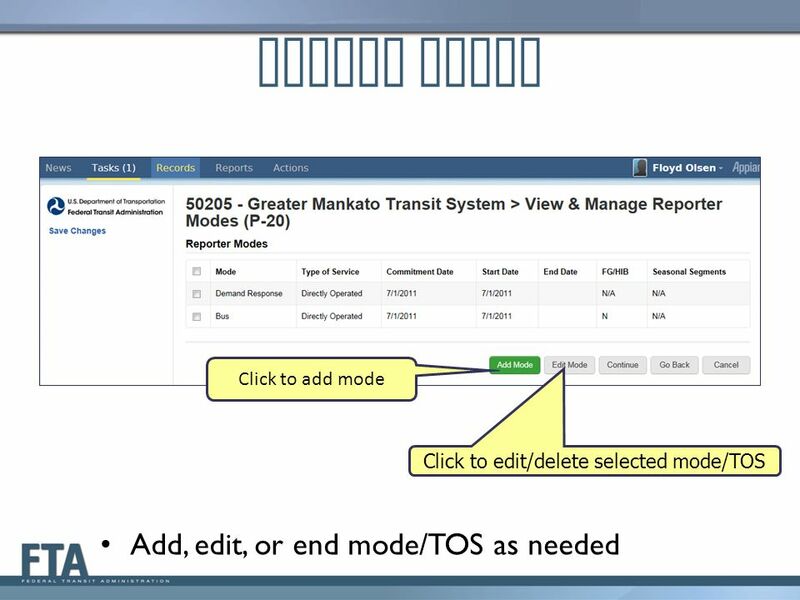 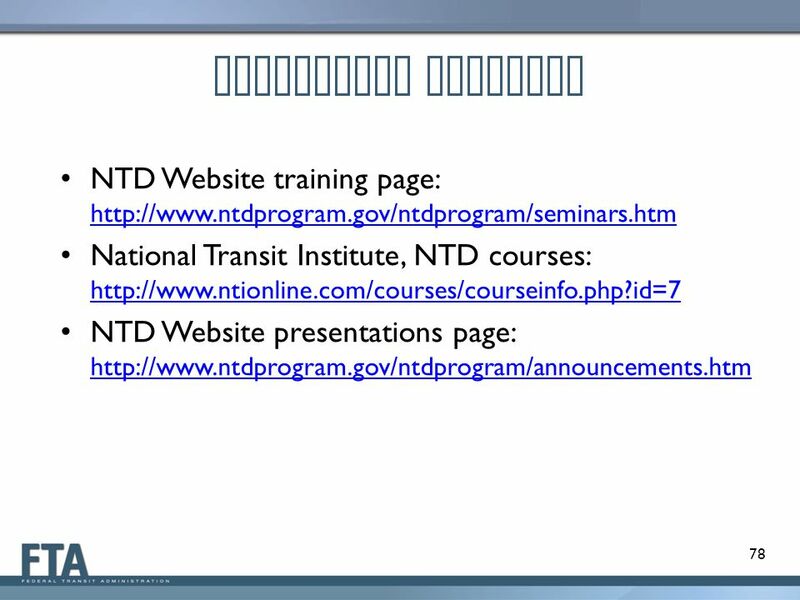 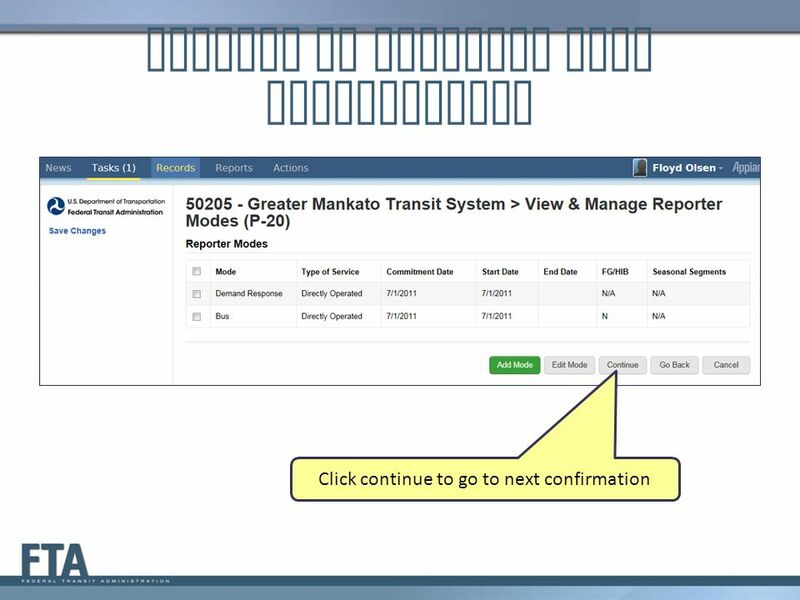 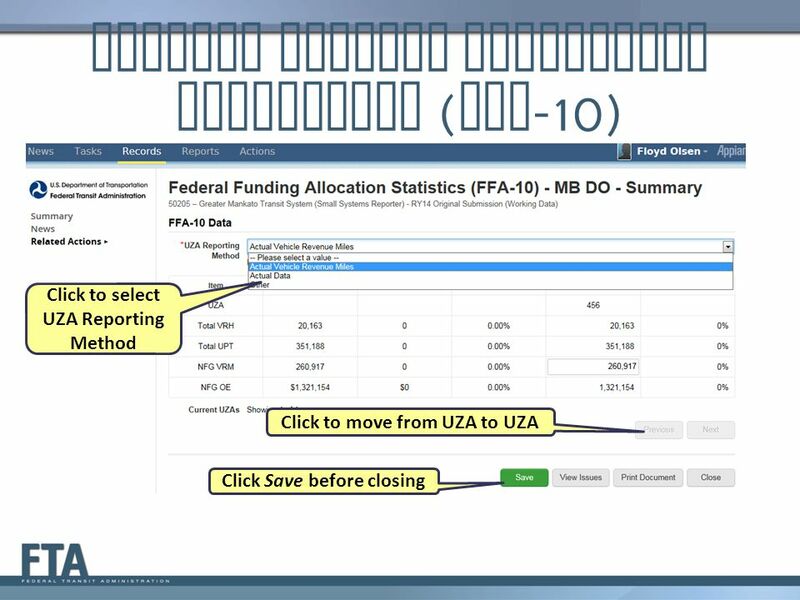 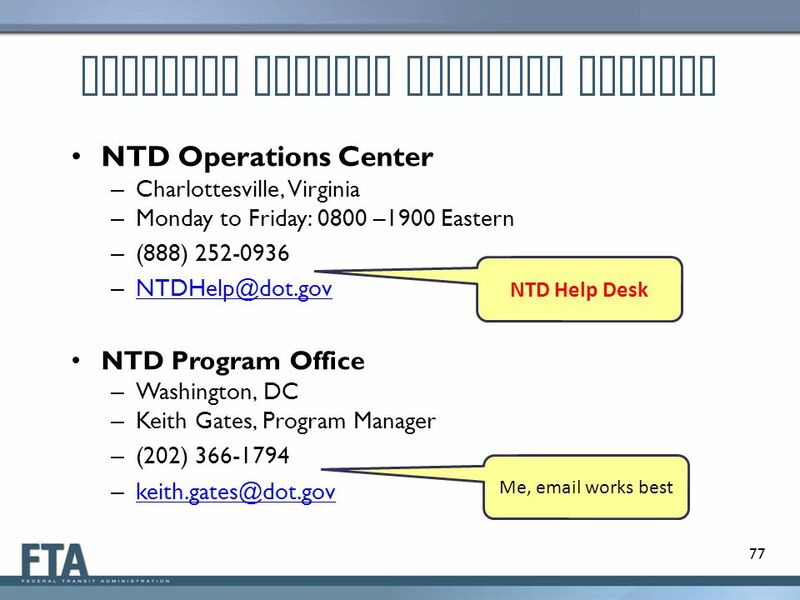 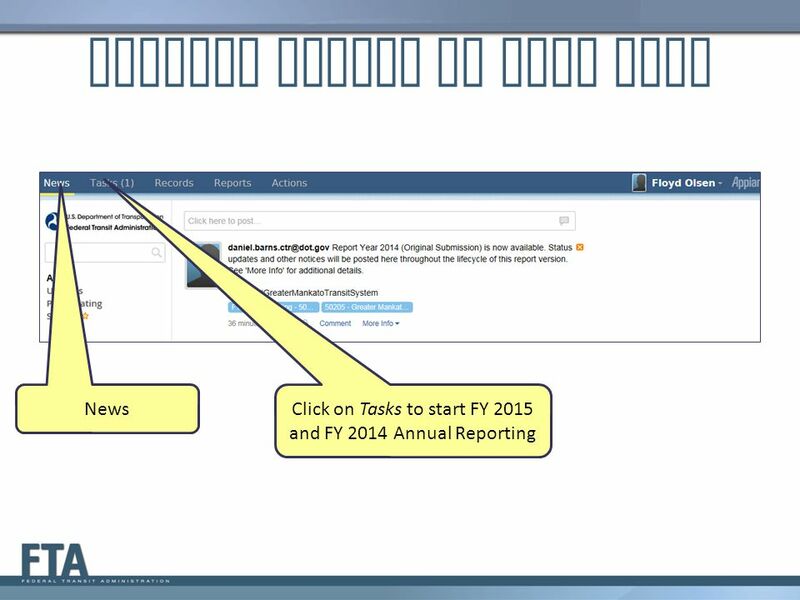 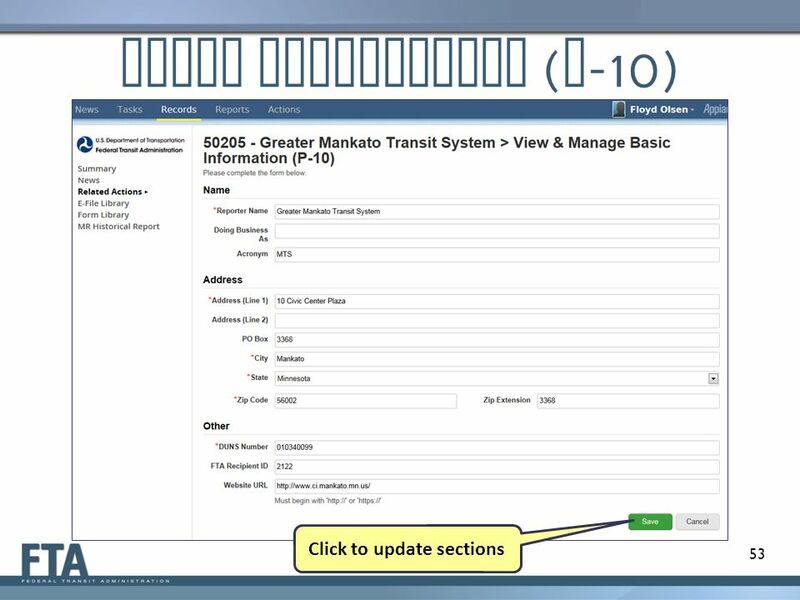 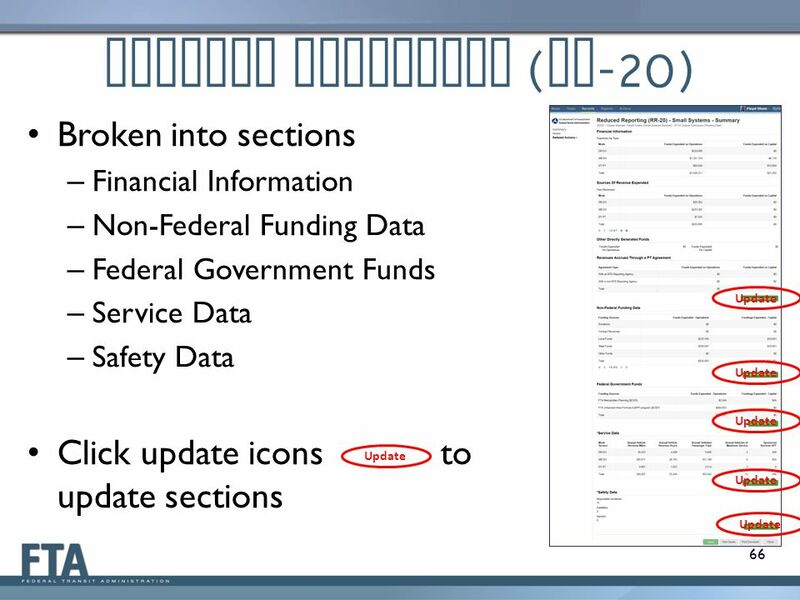 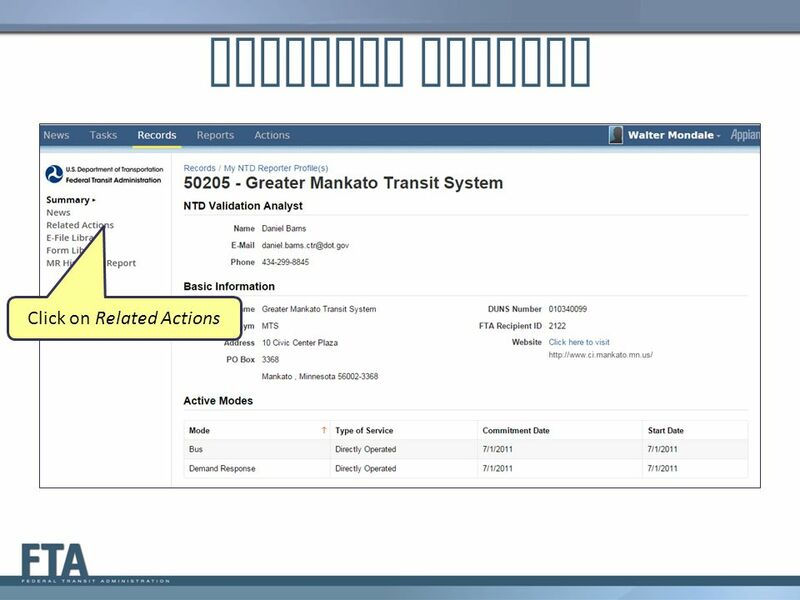 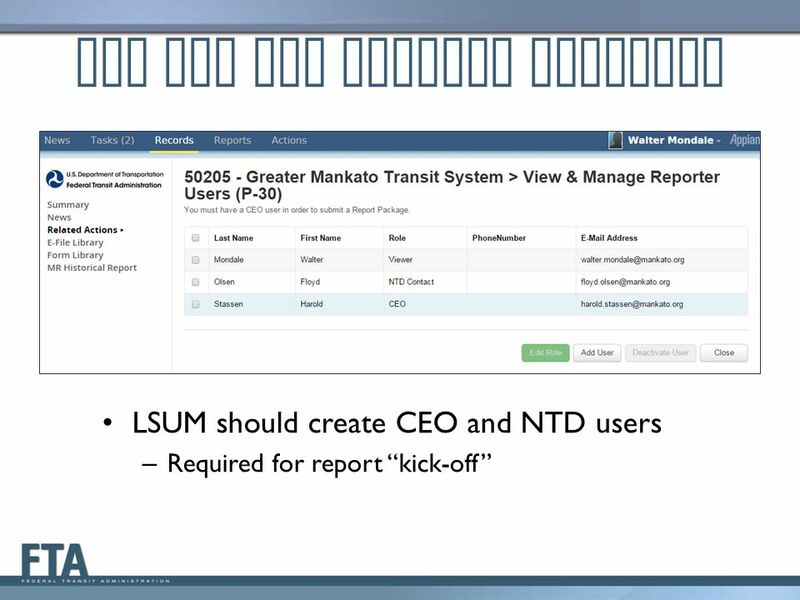 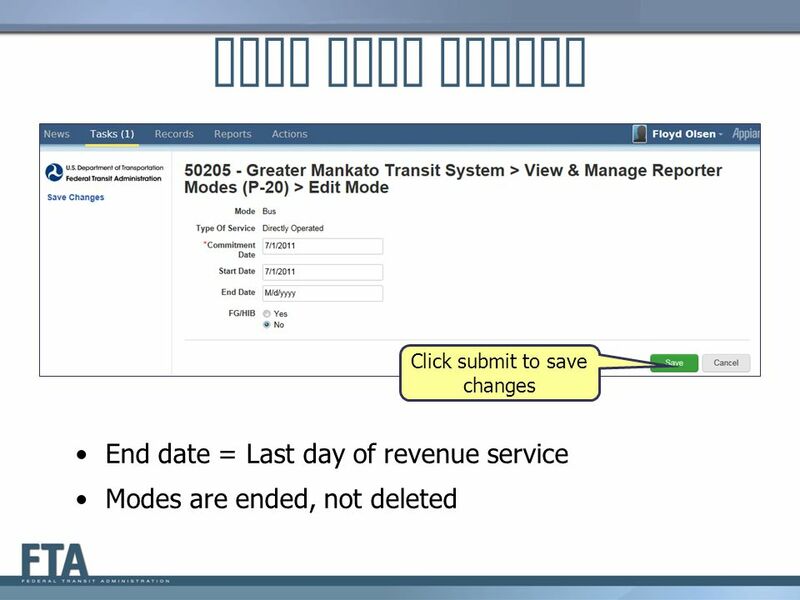 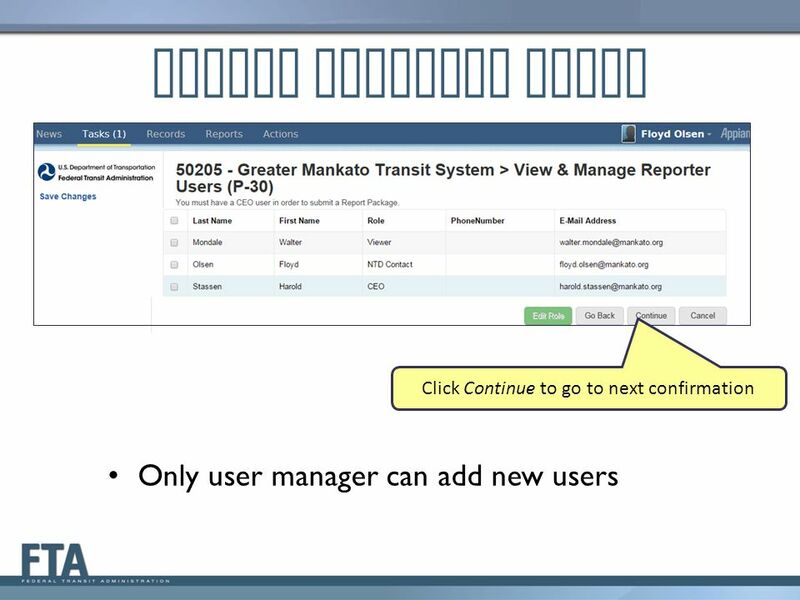 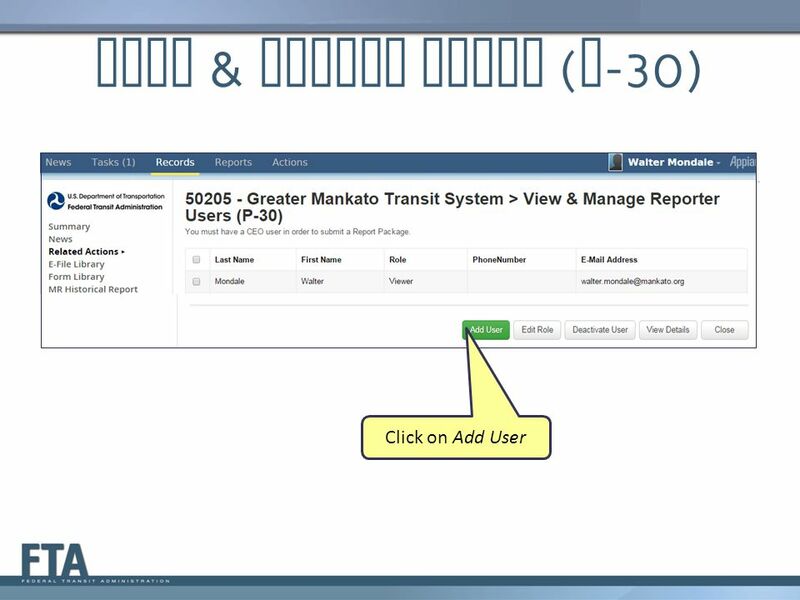 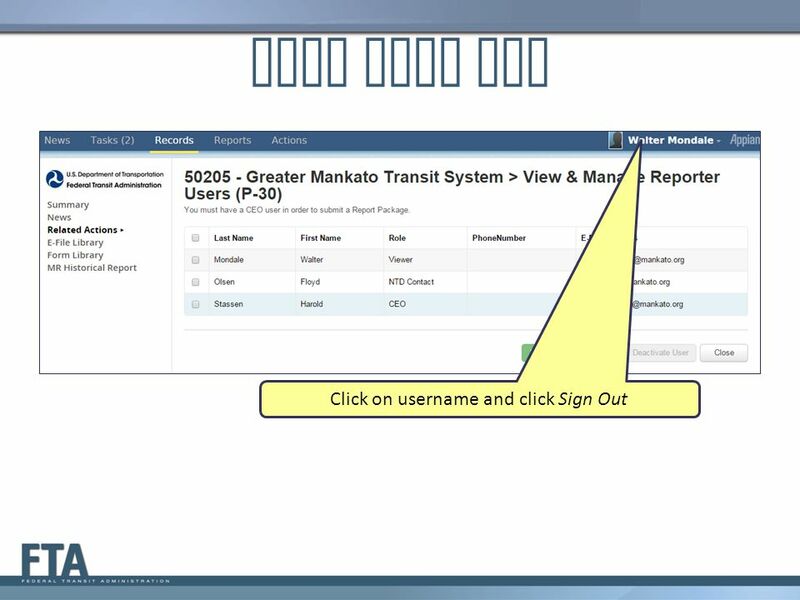 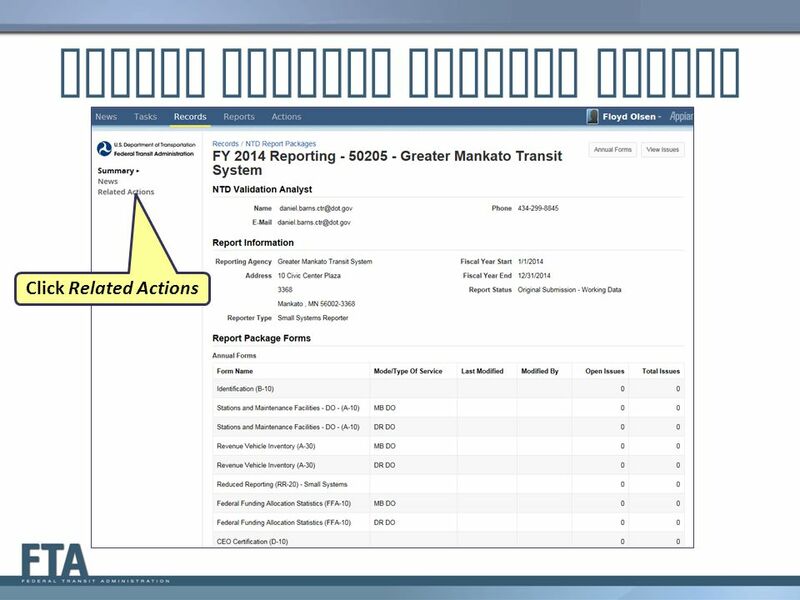 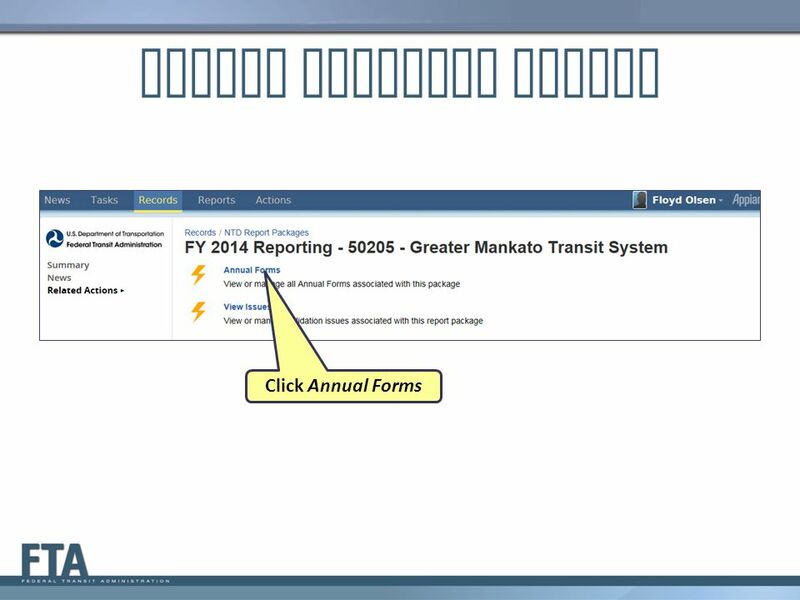 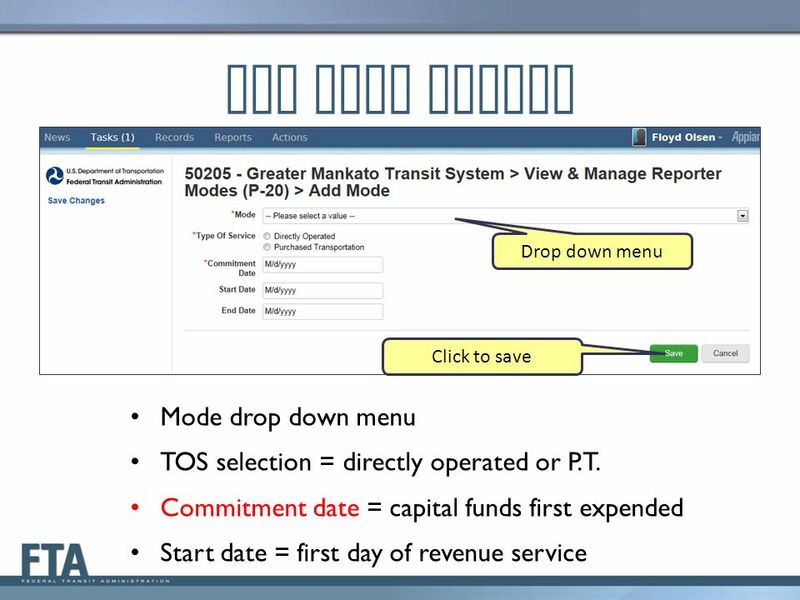 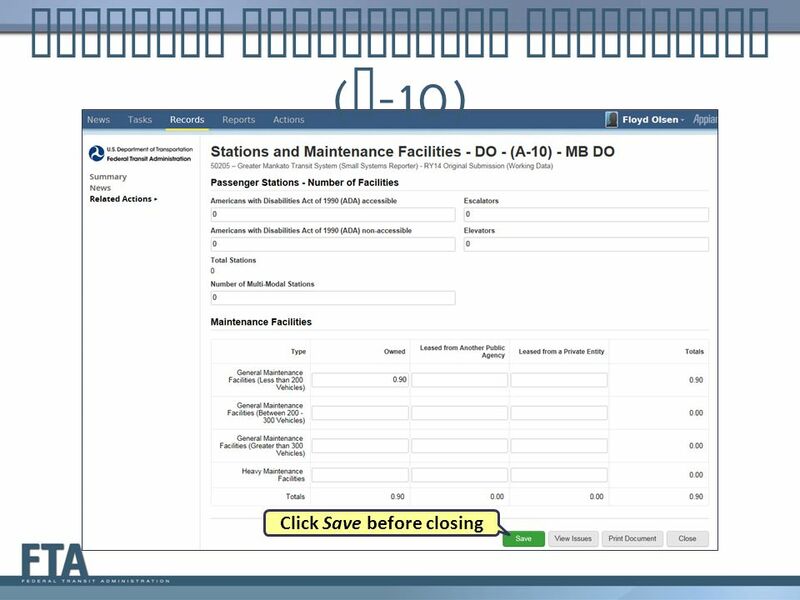 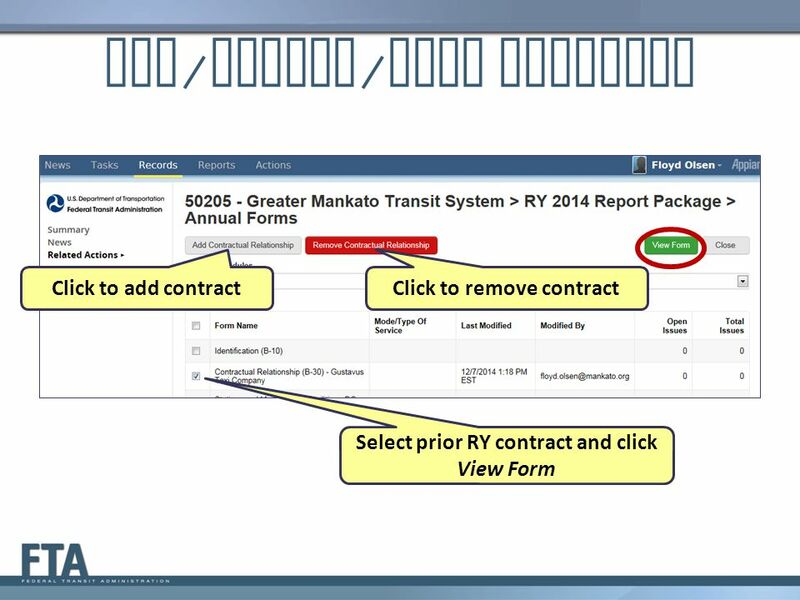 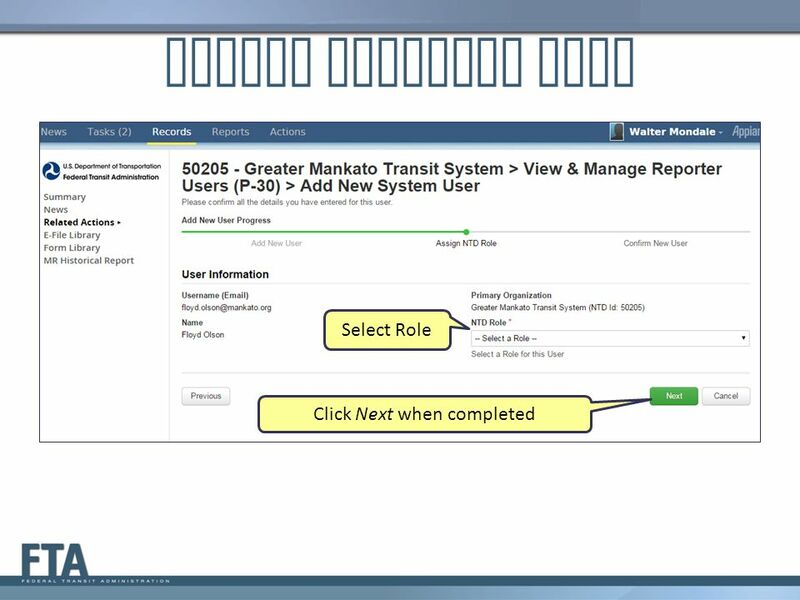 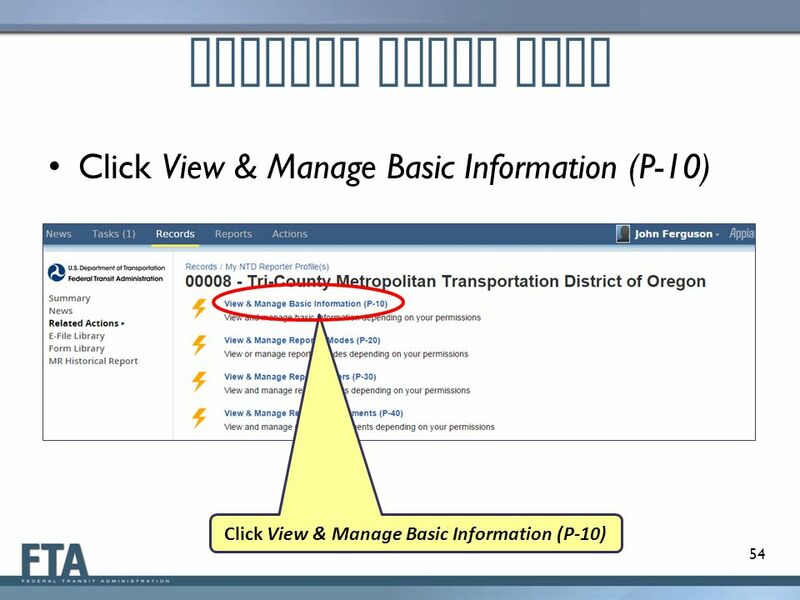 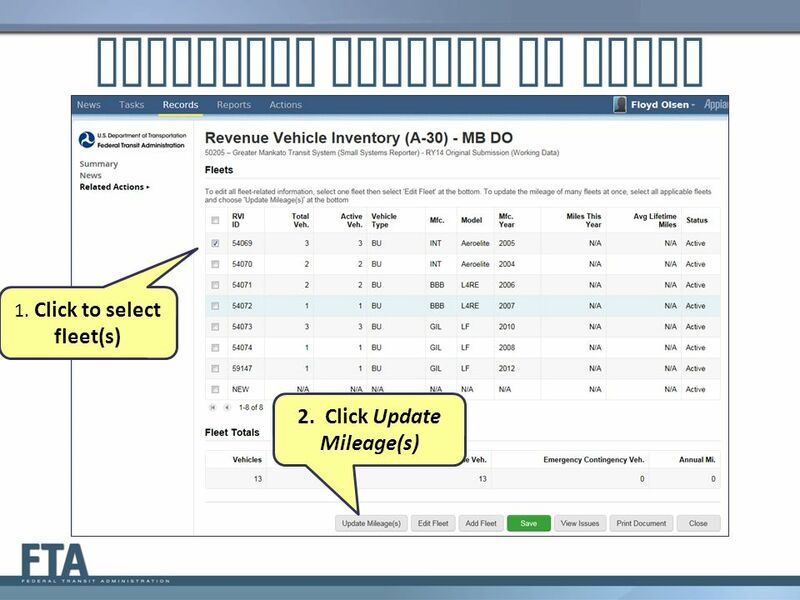 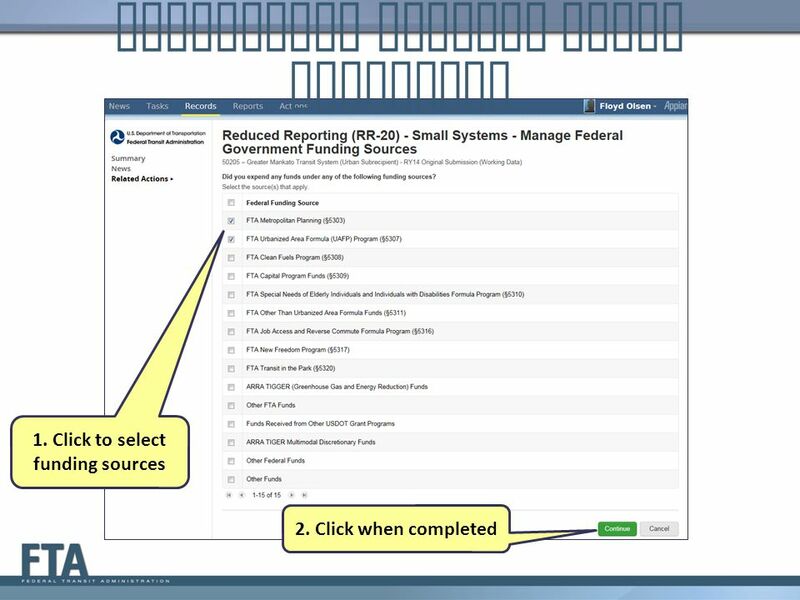 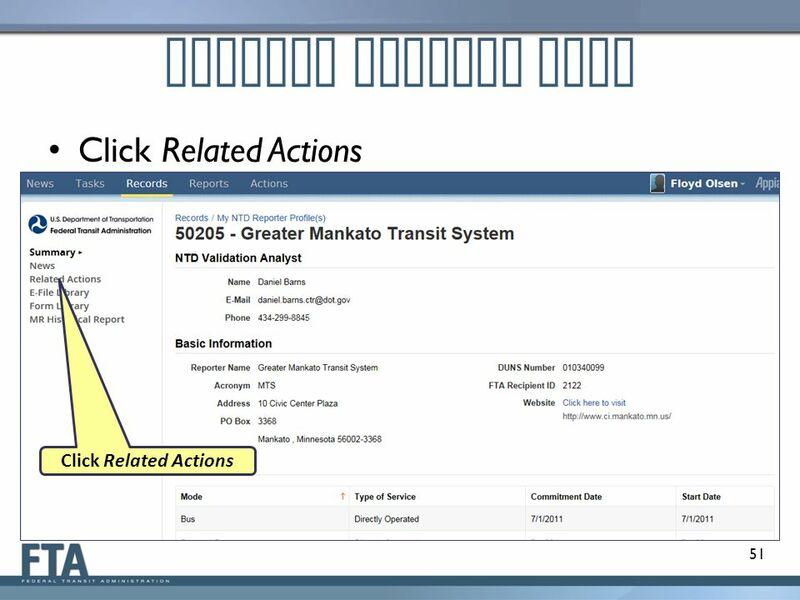 Download ppt "National Transit Database"
This Power Point Presentation is Designed to: Learn/Review To learn how to create/complete and submit an eGrants VISTA Grants Application based on the. 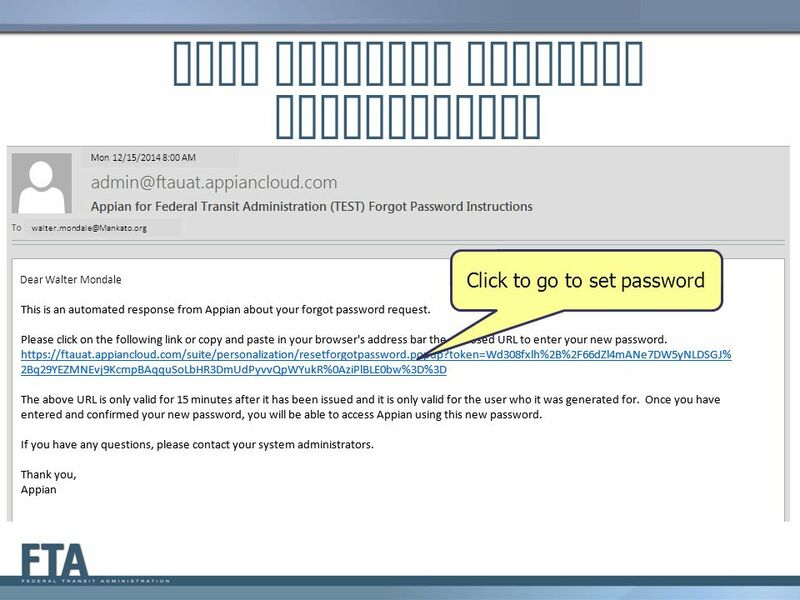 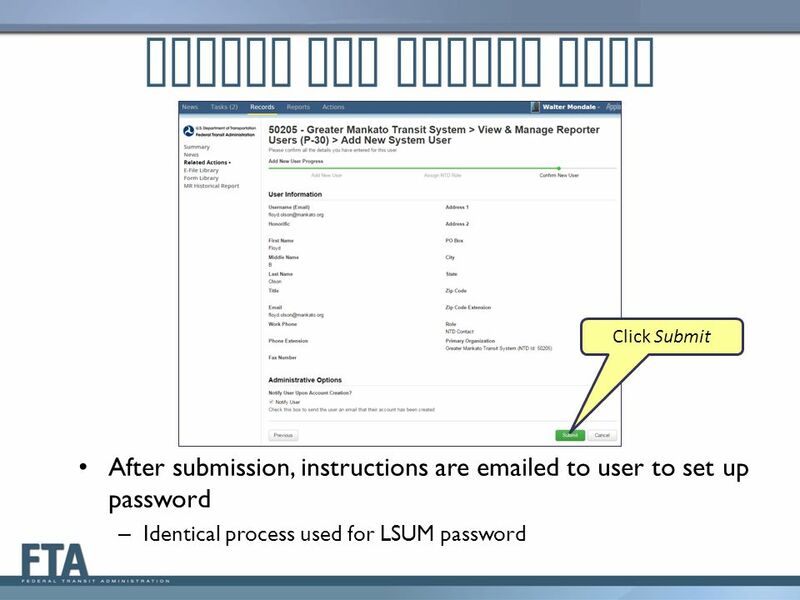 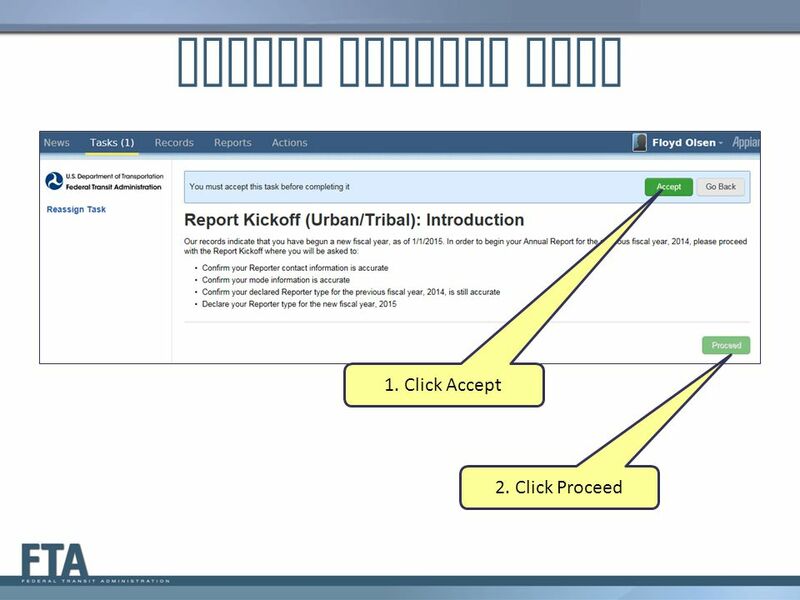 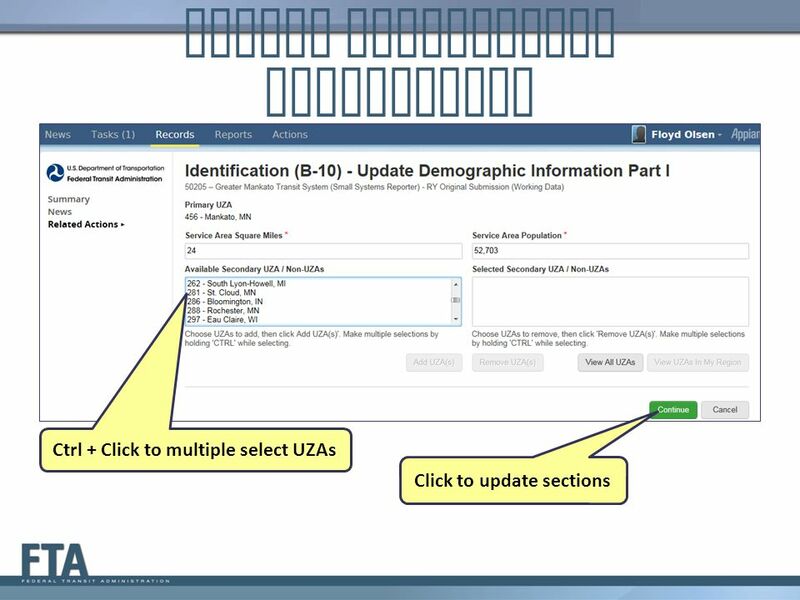 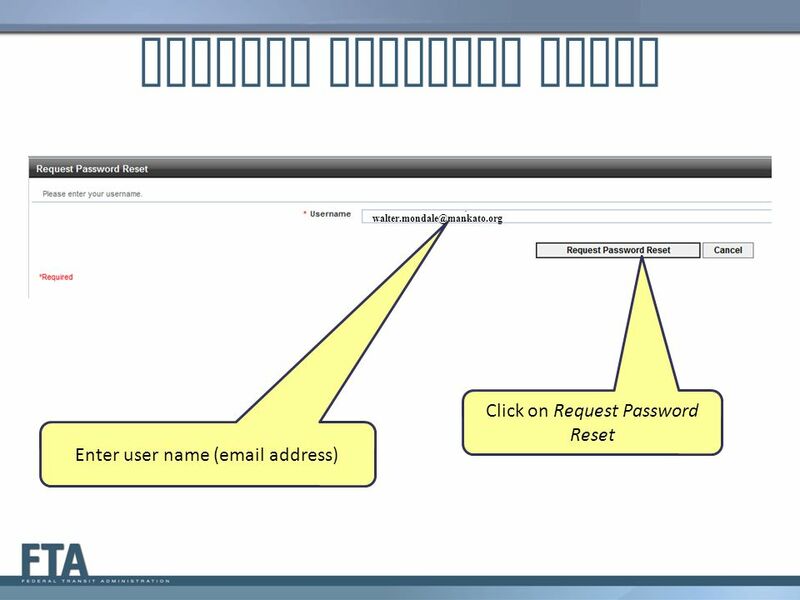 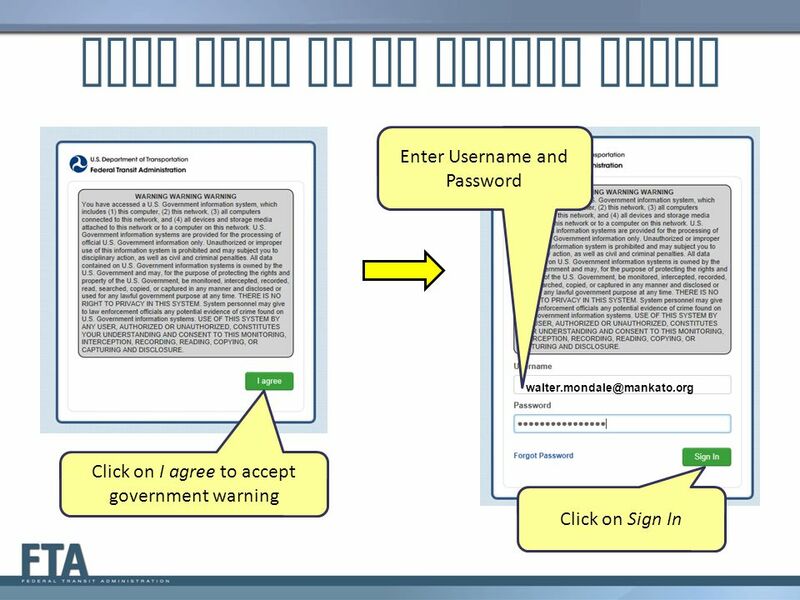 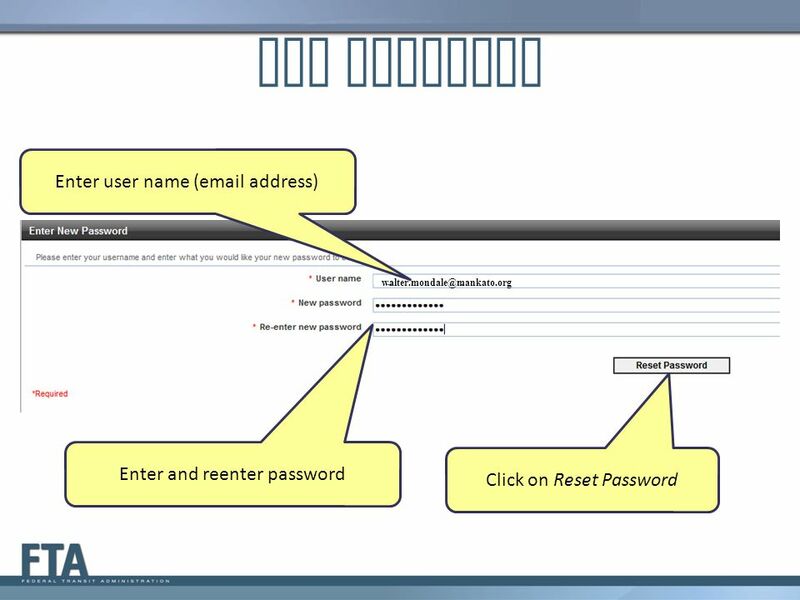 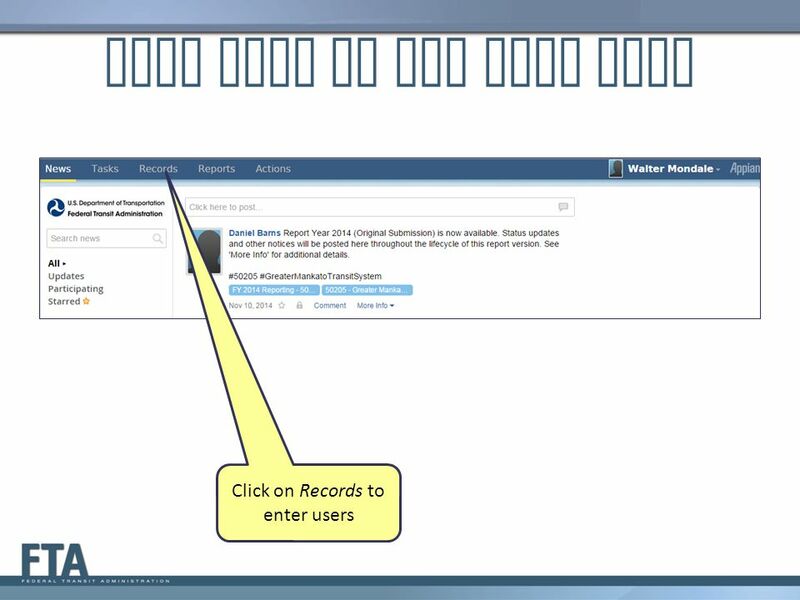 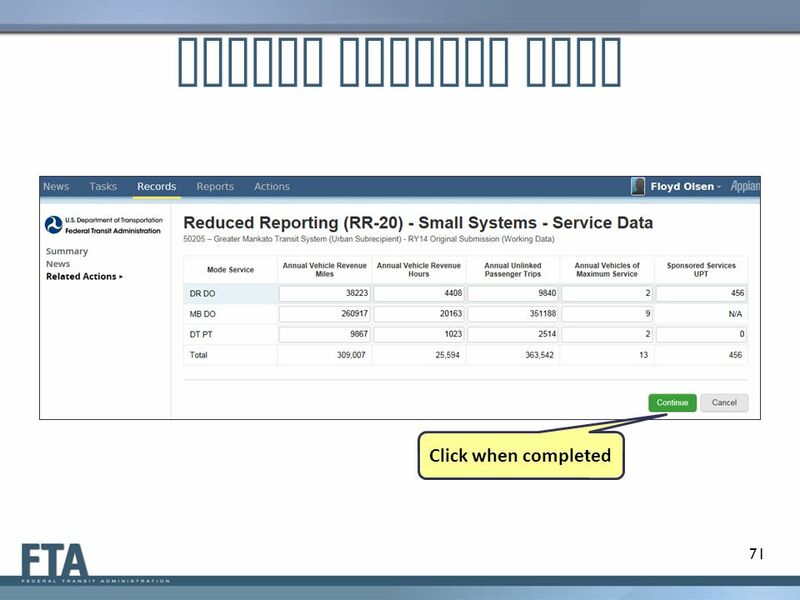 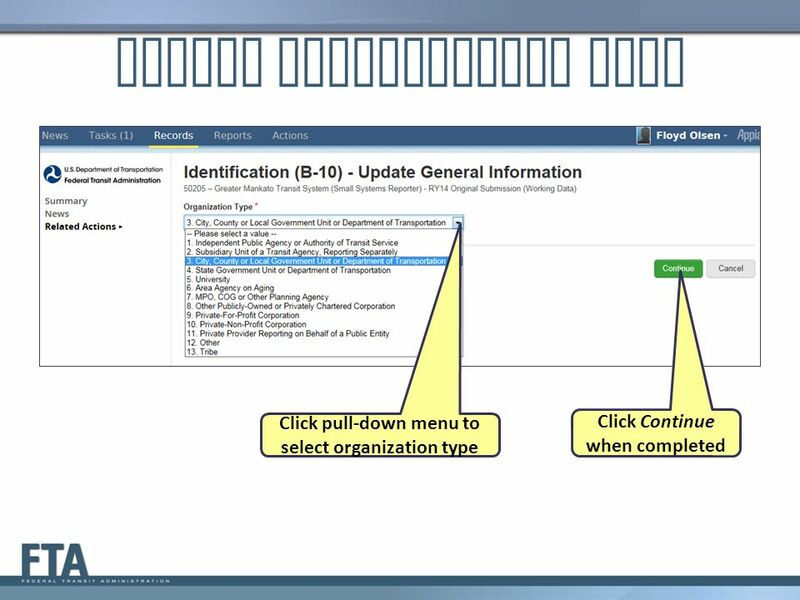 My System Profile and Password Reset Instructions PART 1 For every Core-CT User ID follow these steps to use the Automated Password Reset feature: 1.Log. 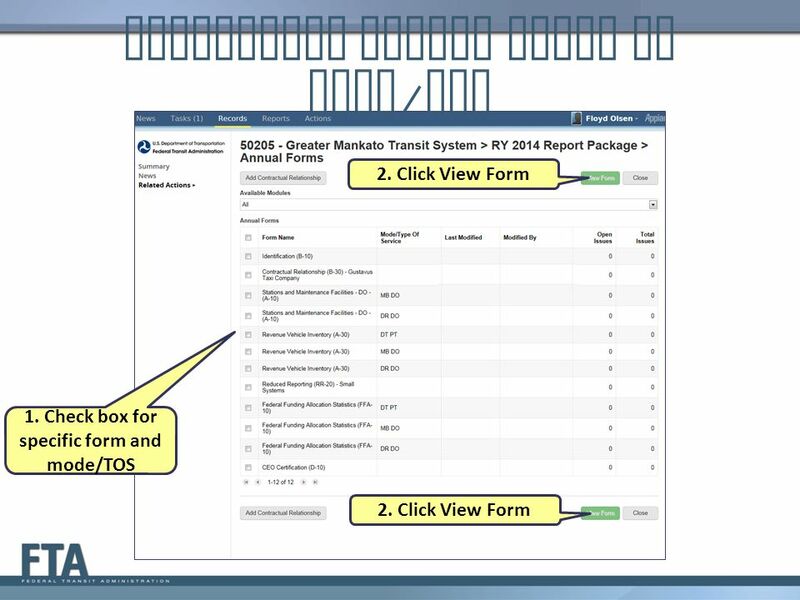 Mobility Tool Fremtidens afrapportering 2013 – Erasmus Mobilitet / IP 2014 – Erasmus+ aktioner. 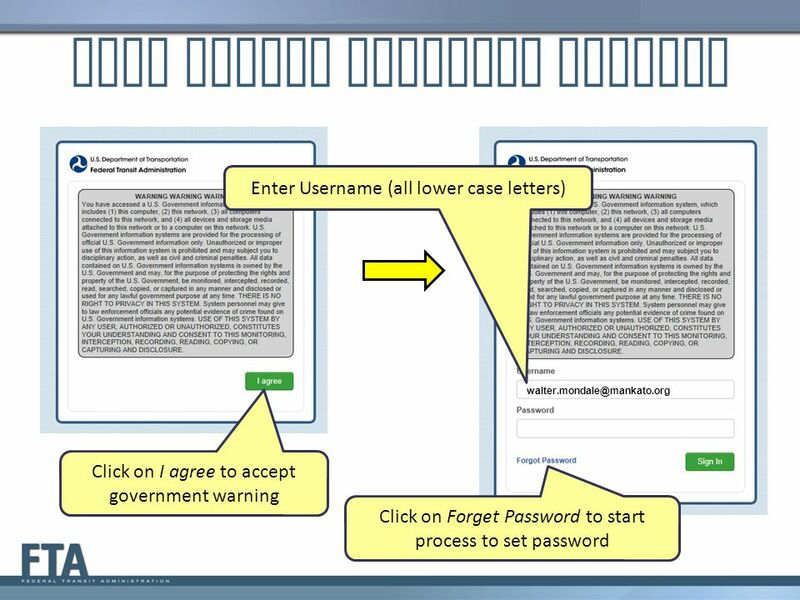 Welcome to Instructions and tips for the online application process 1 June 2012. 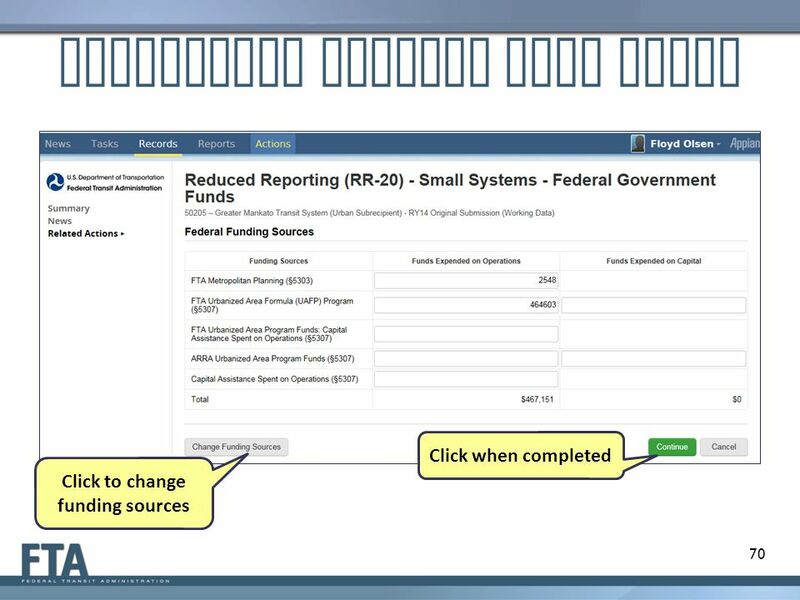 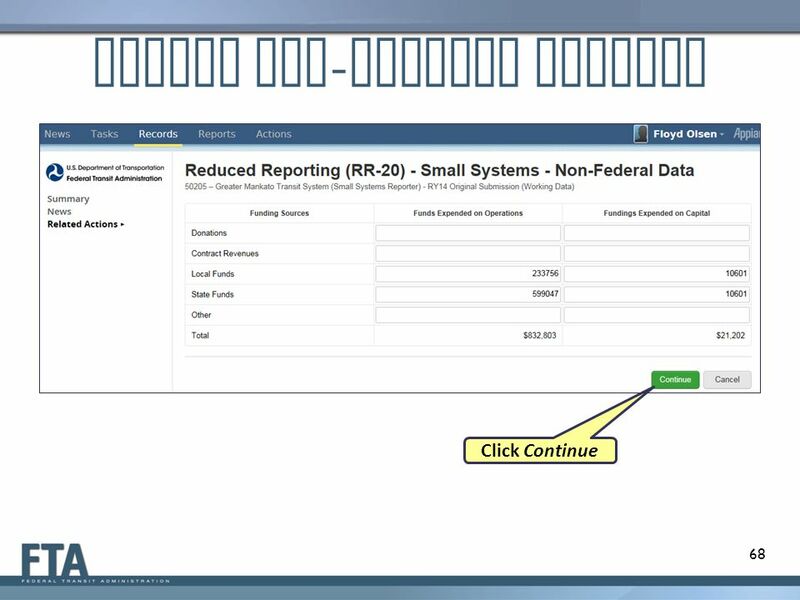 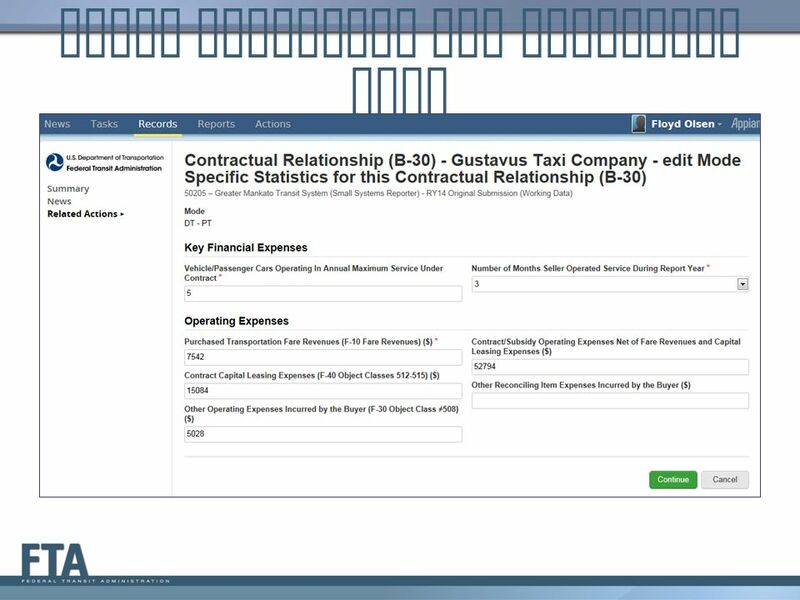 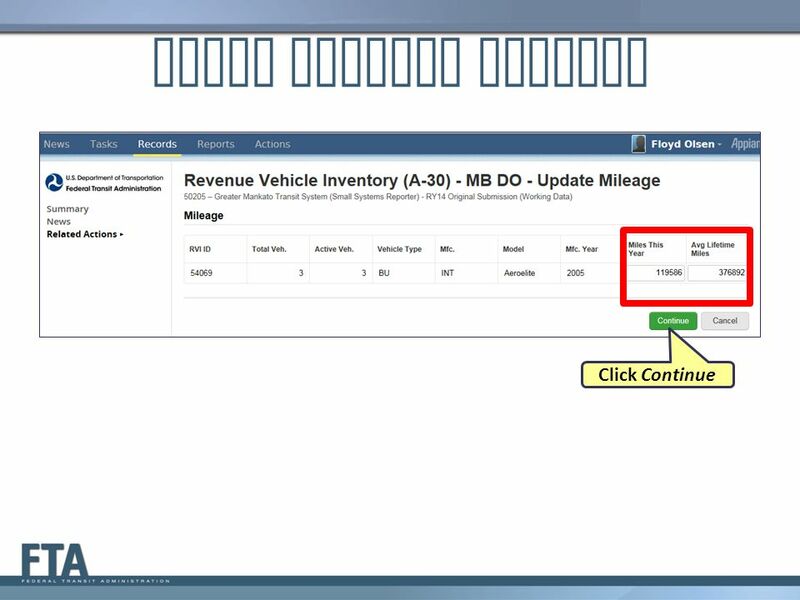 How to Make Statutory License Royalty Payments Using Pay.gov A Tutorial. 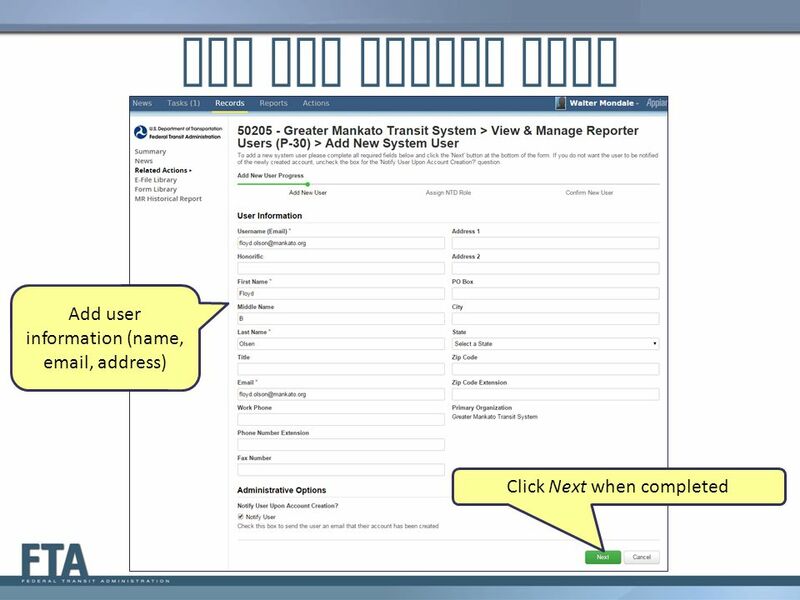 Trainee Revalidation on SOAR An overview of the online processes. 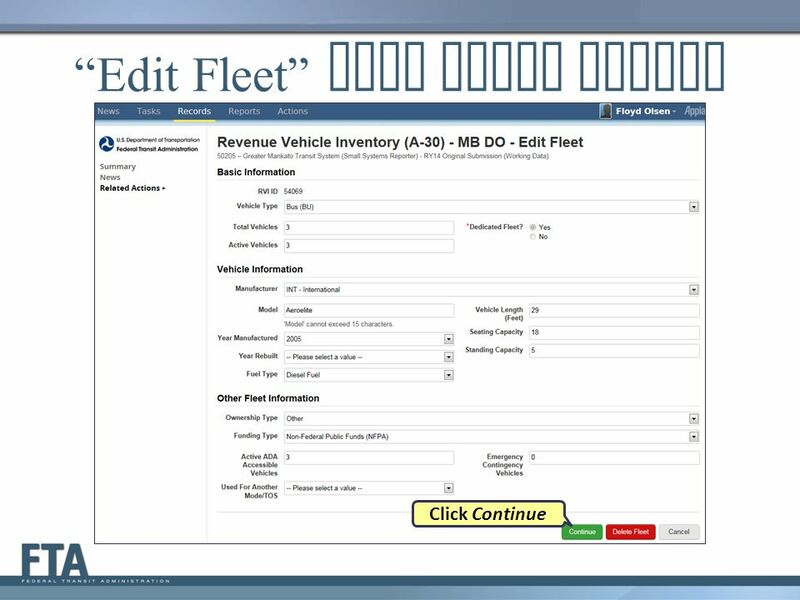 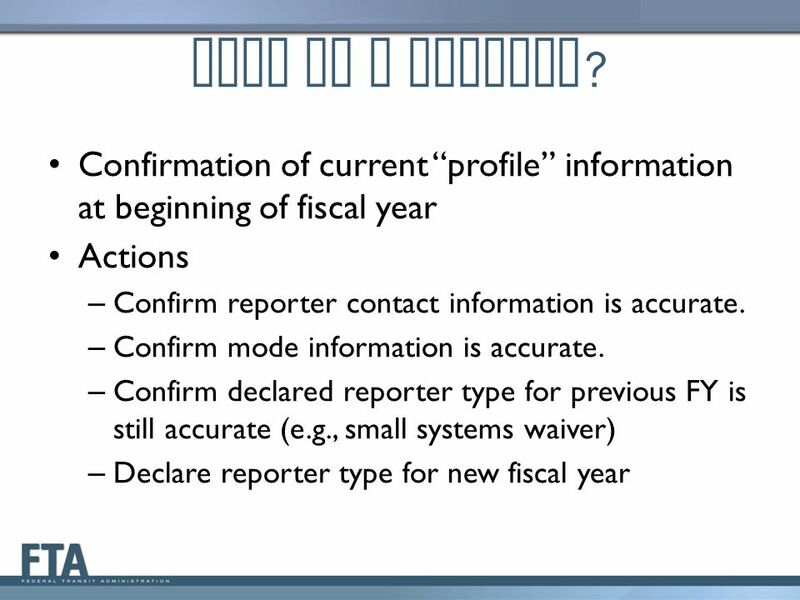 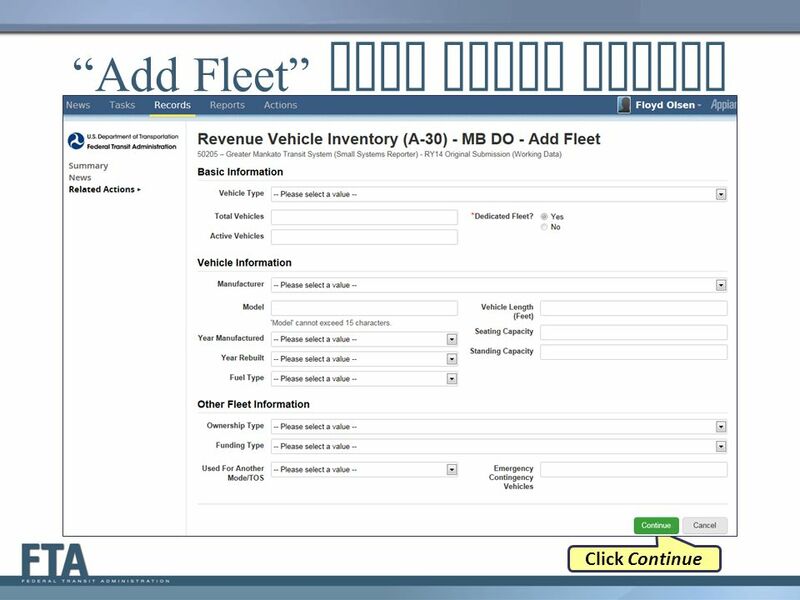 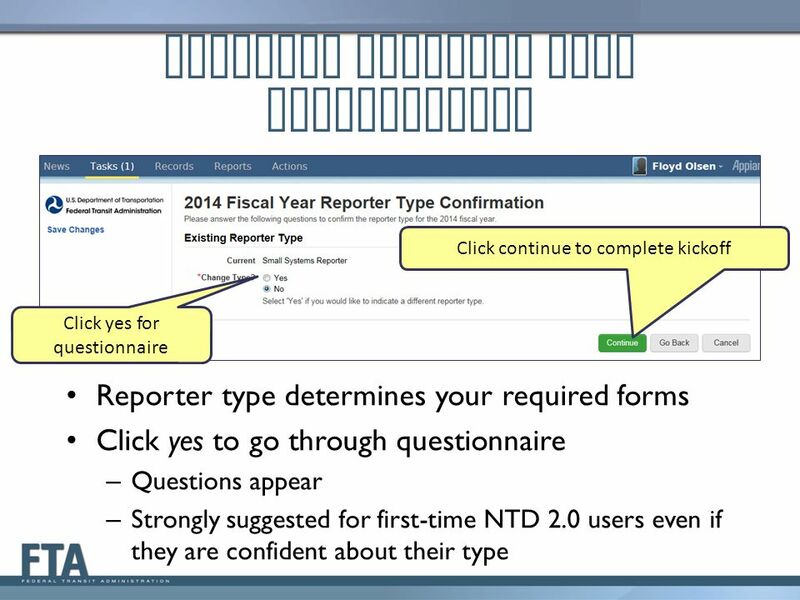 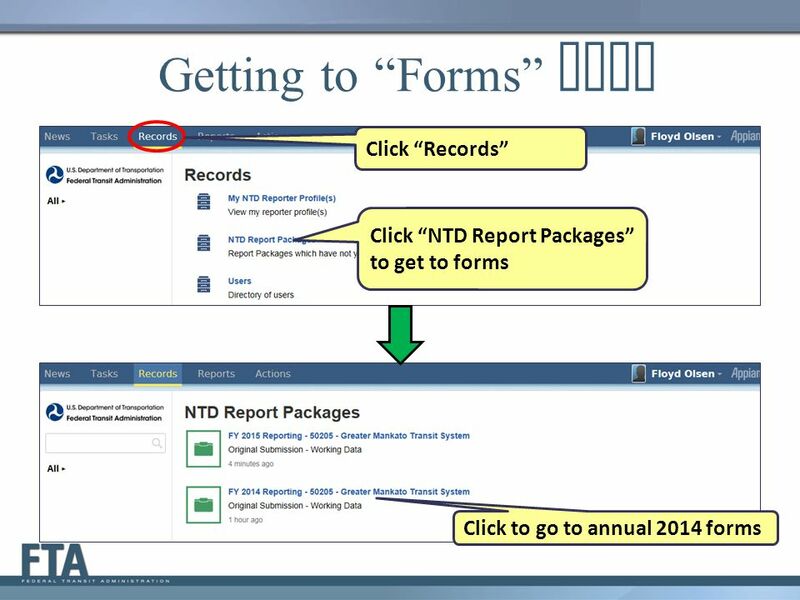 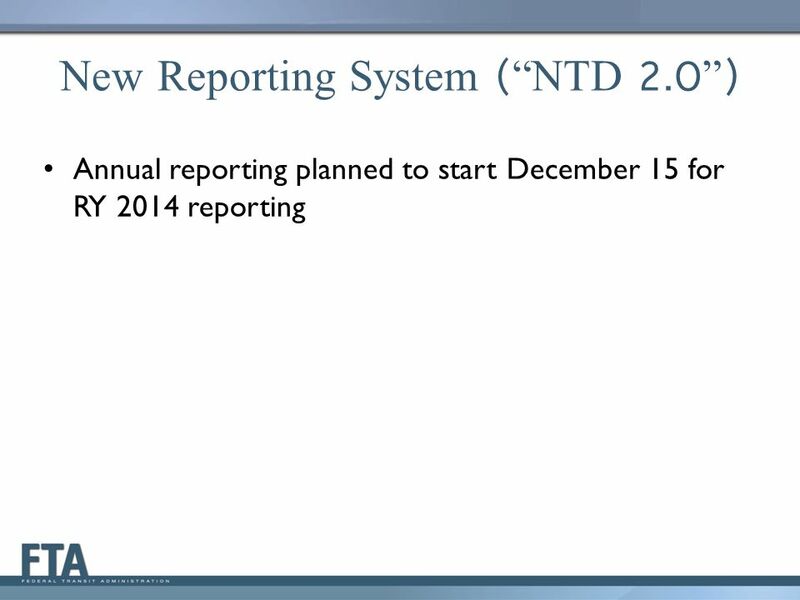 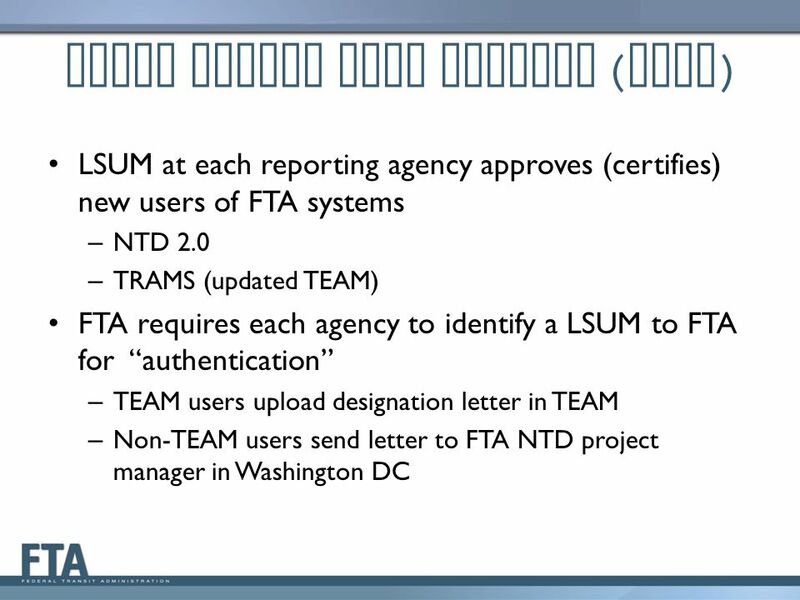 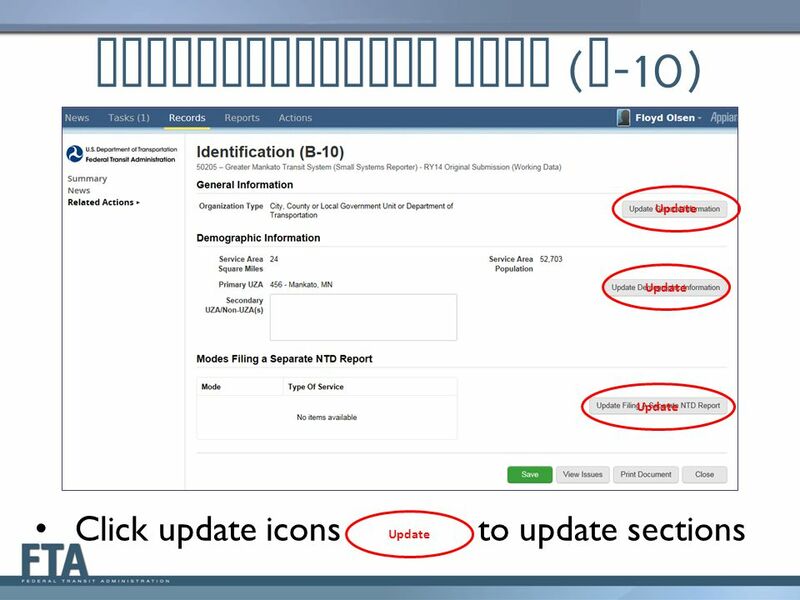 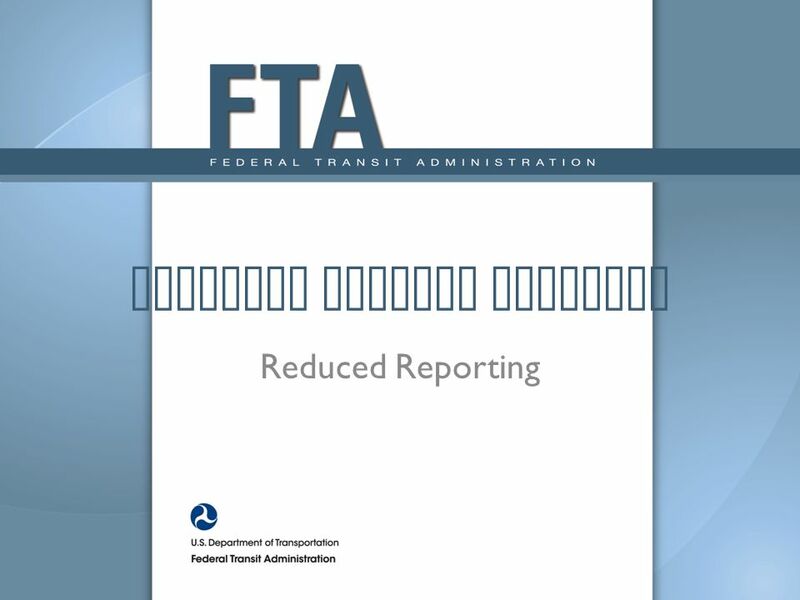 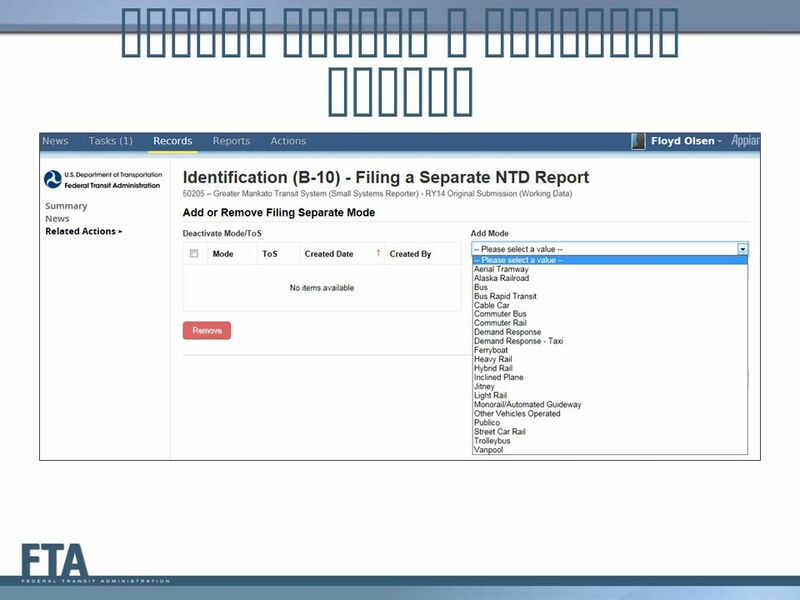 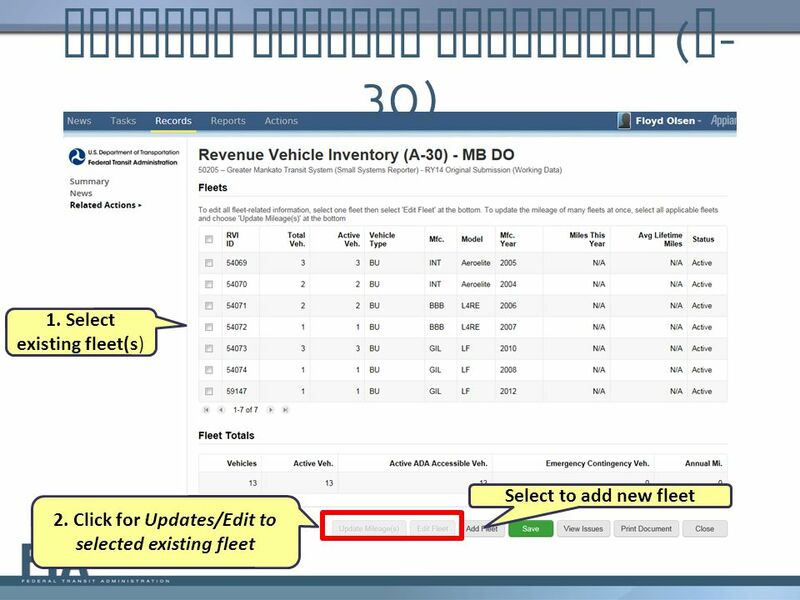 FY 2014 NTD Reporting Federal Register Notices Explanation of Proposed Changes 28 August 2014.